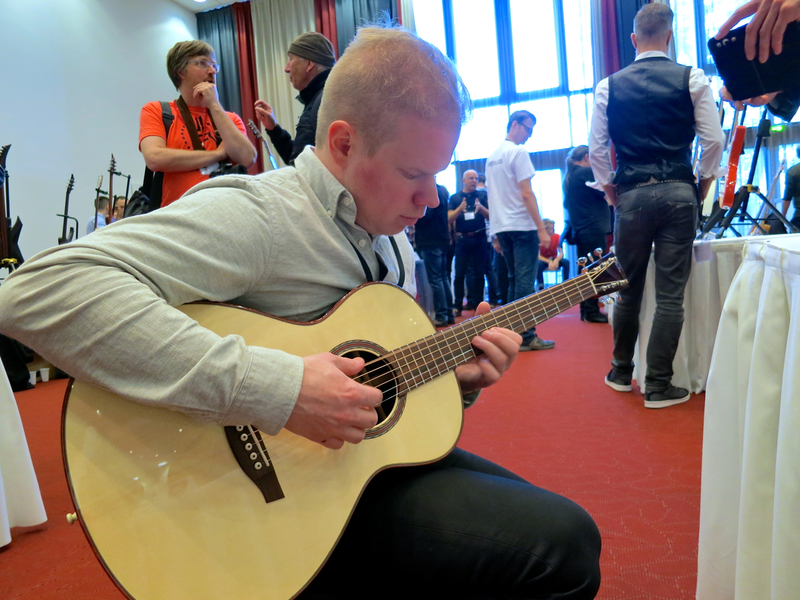 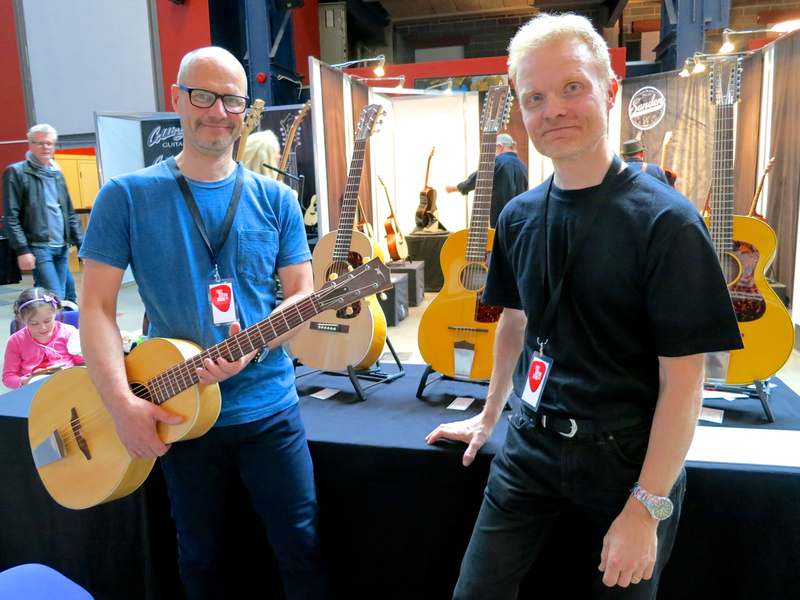 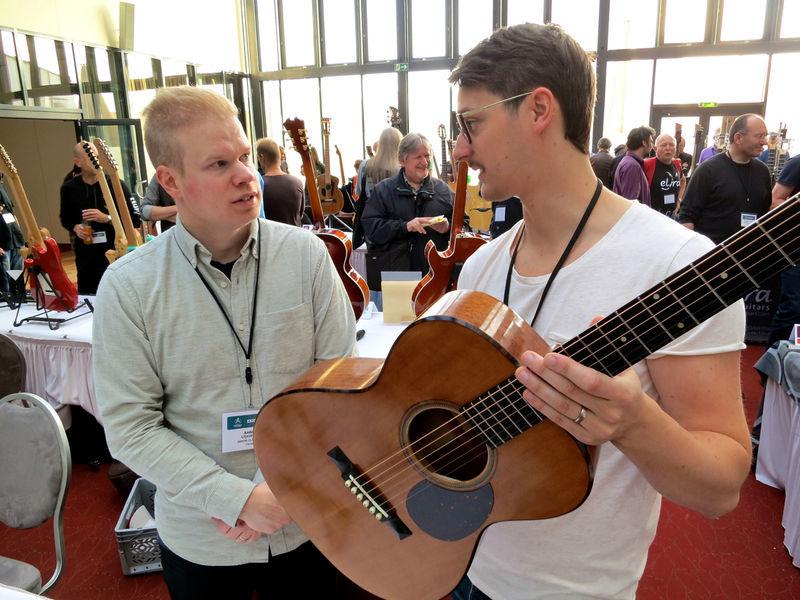 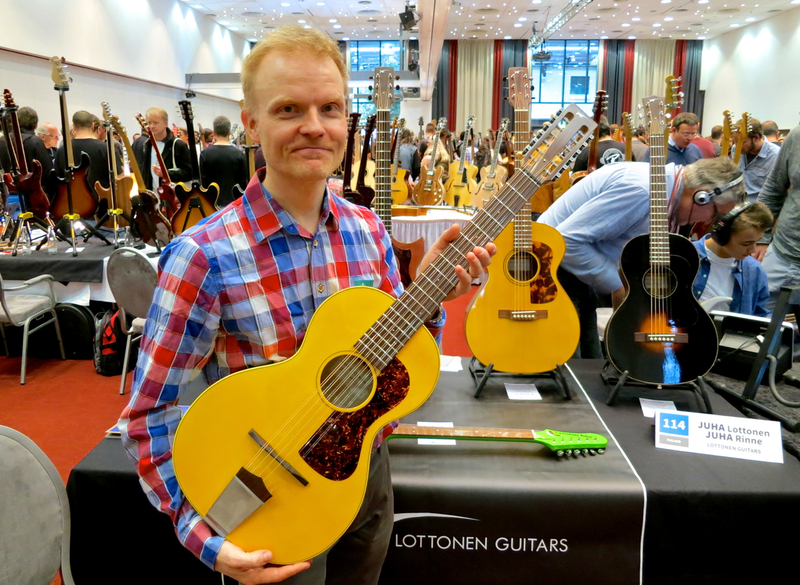 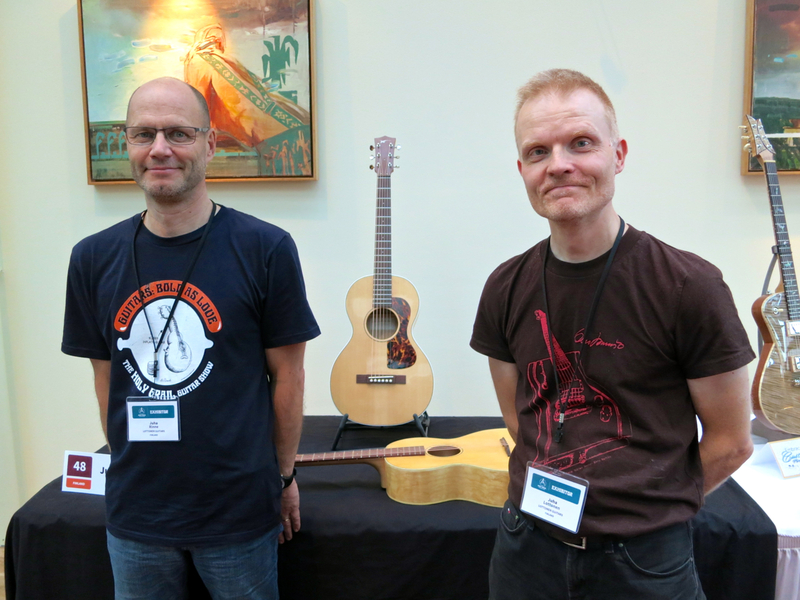 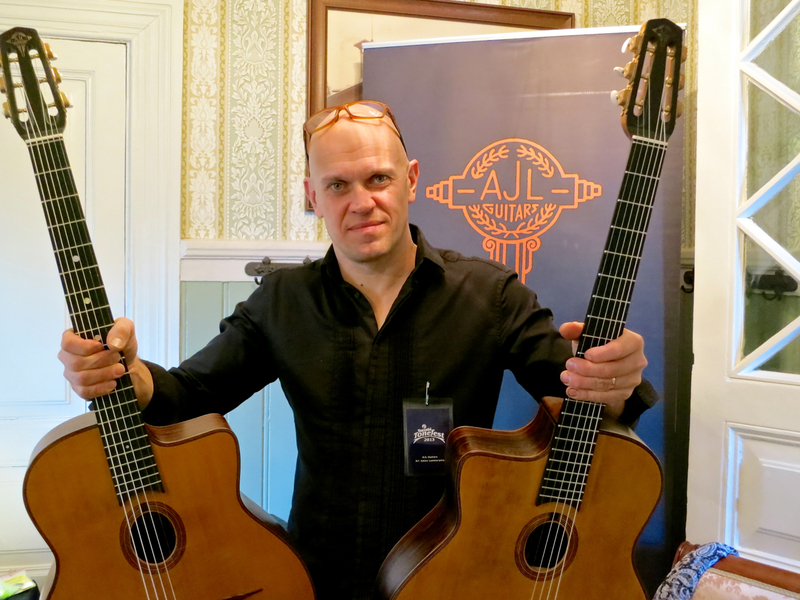 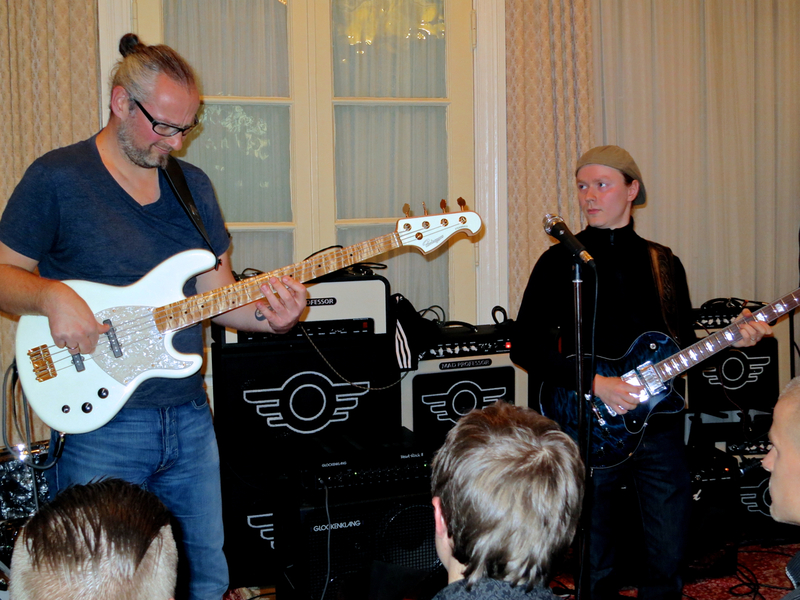 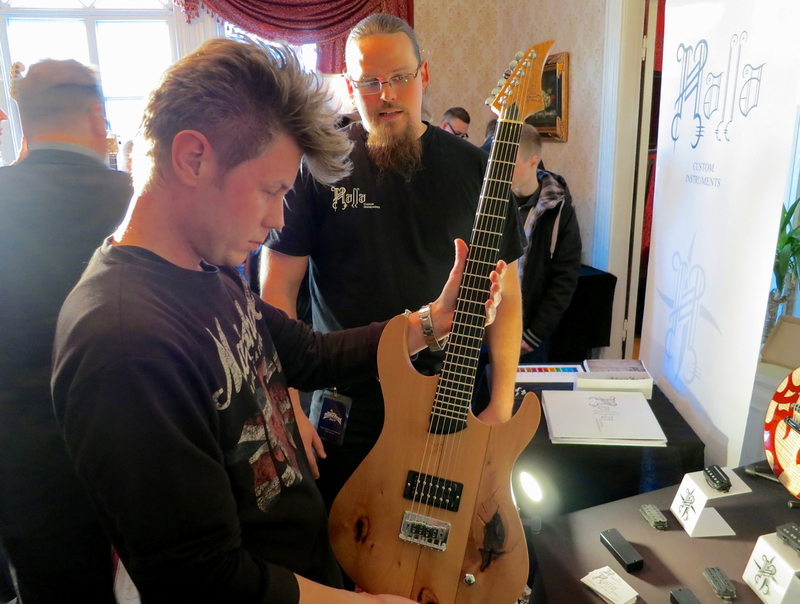 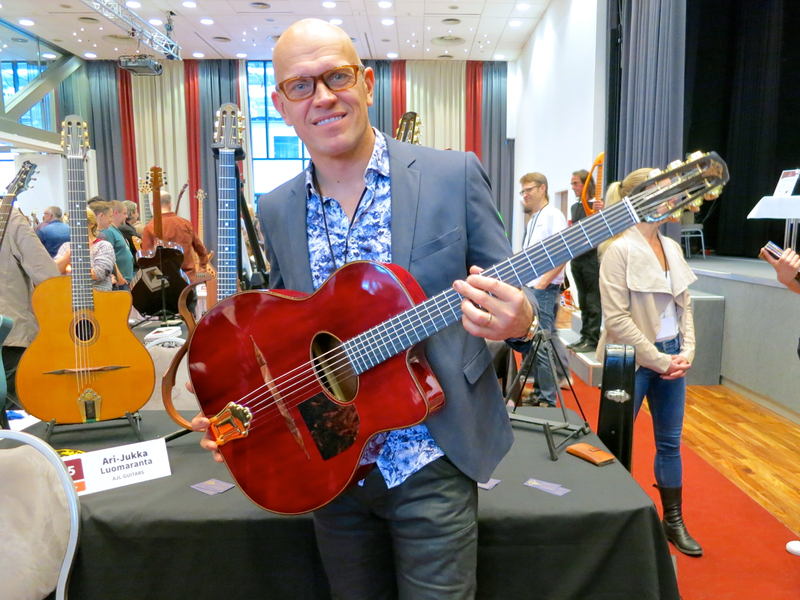 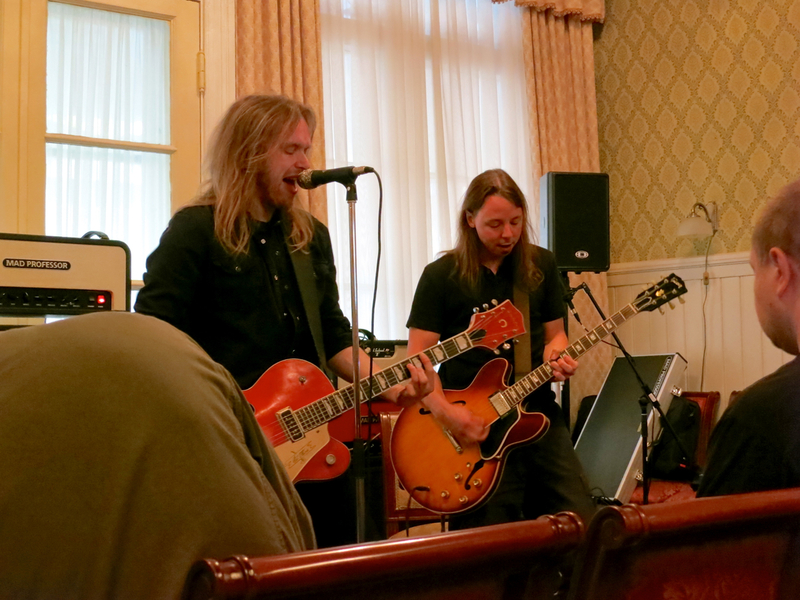 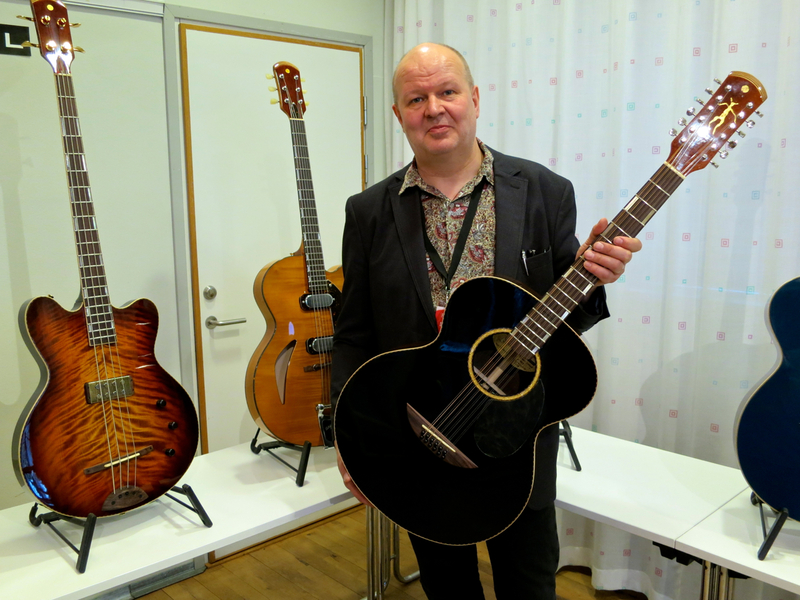 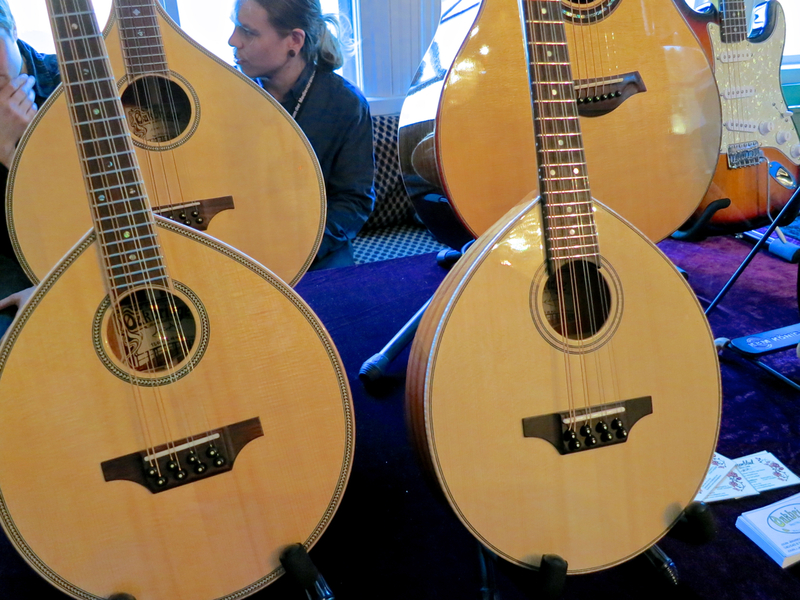 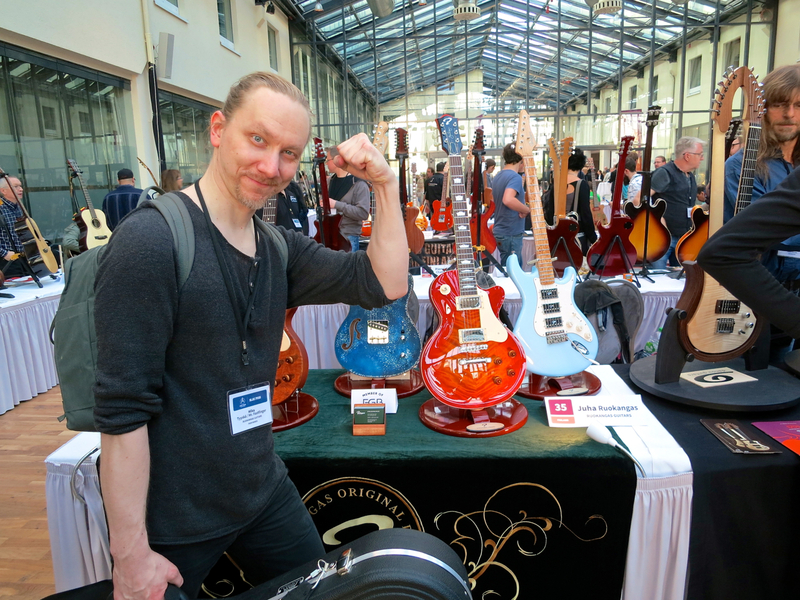 Ari-Jukka Luomaranta and a pair of AJL-Guitars’ XO-models. 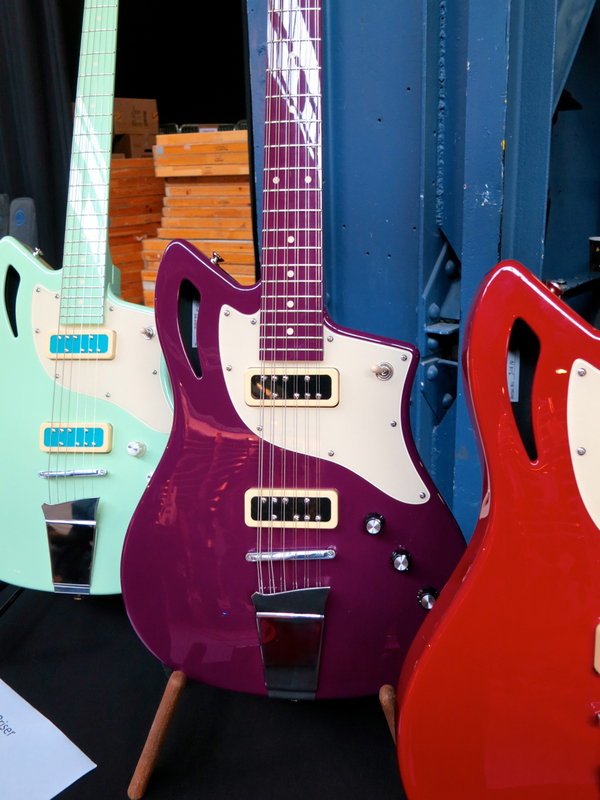 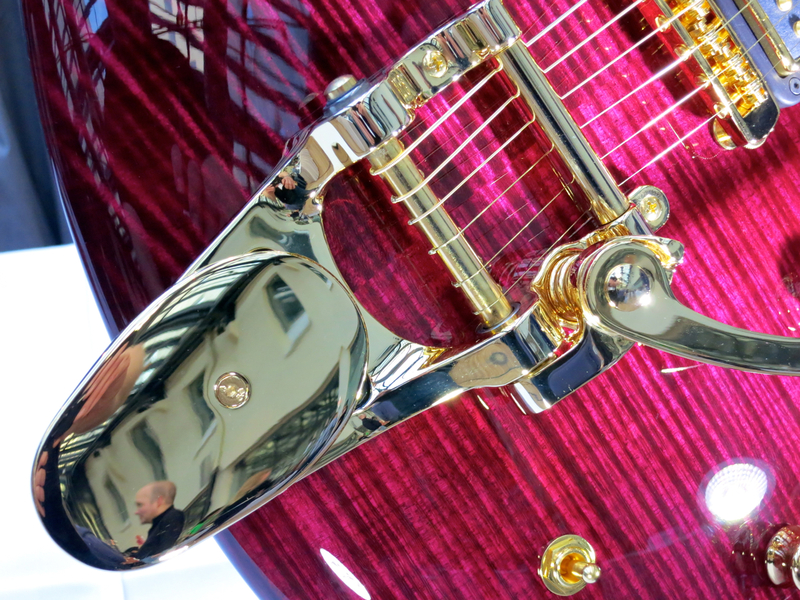 Aurora Guitars, and their slant on the famous Bigsby solidbody. 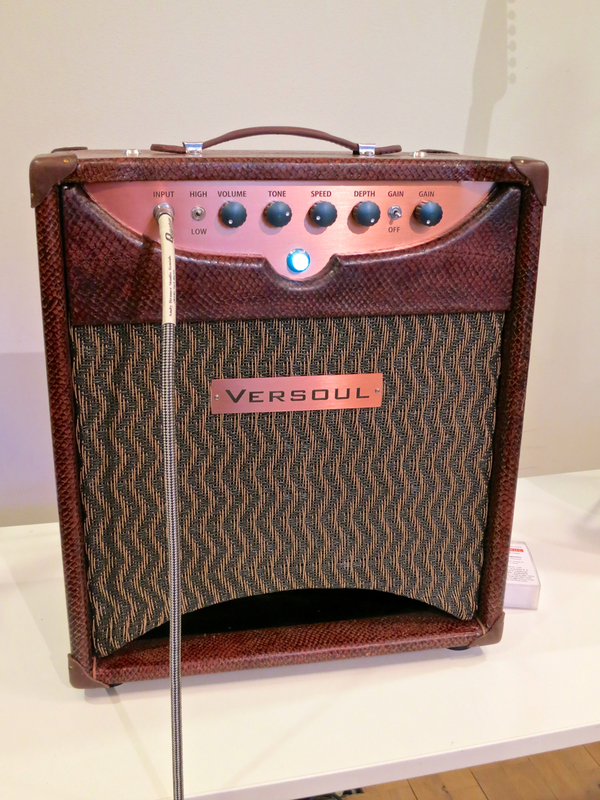 A tasty Bluetone Amps tweed combo. 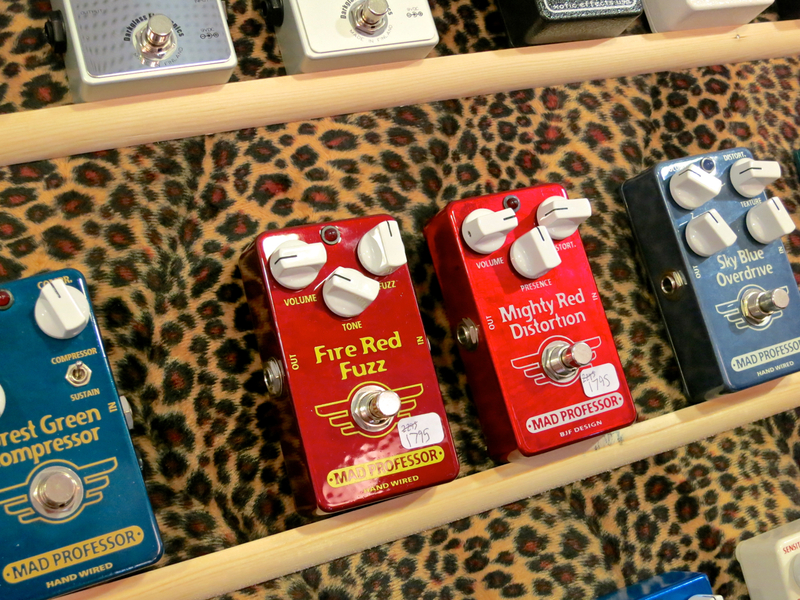 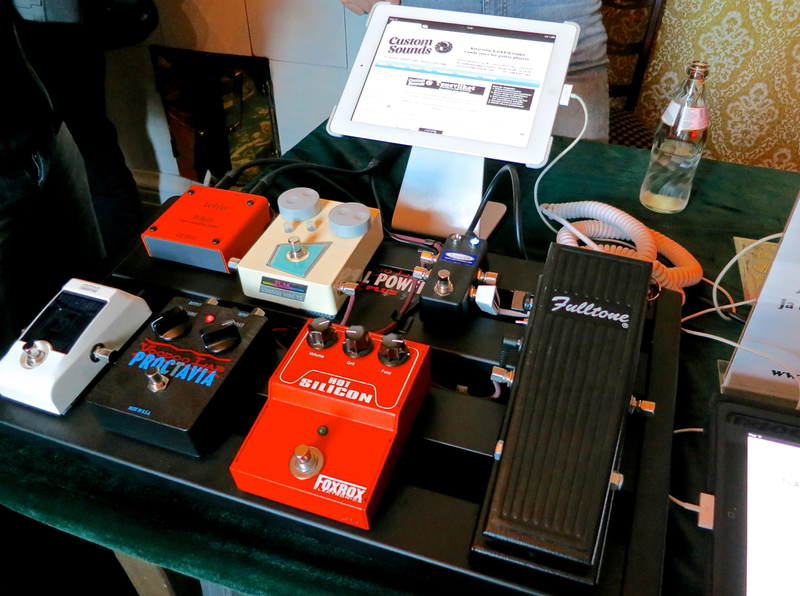 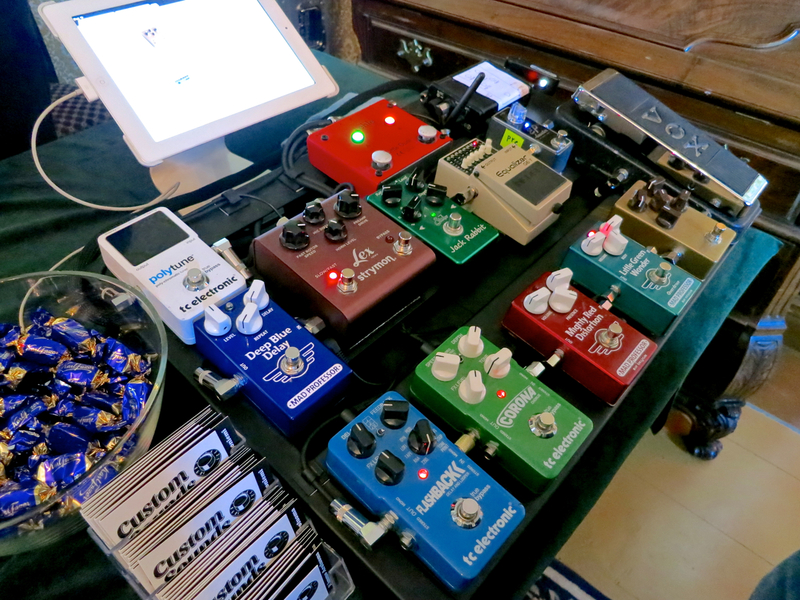 Custom Sounds display some of their custom-made pedalboards. 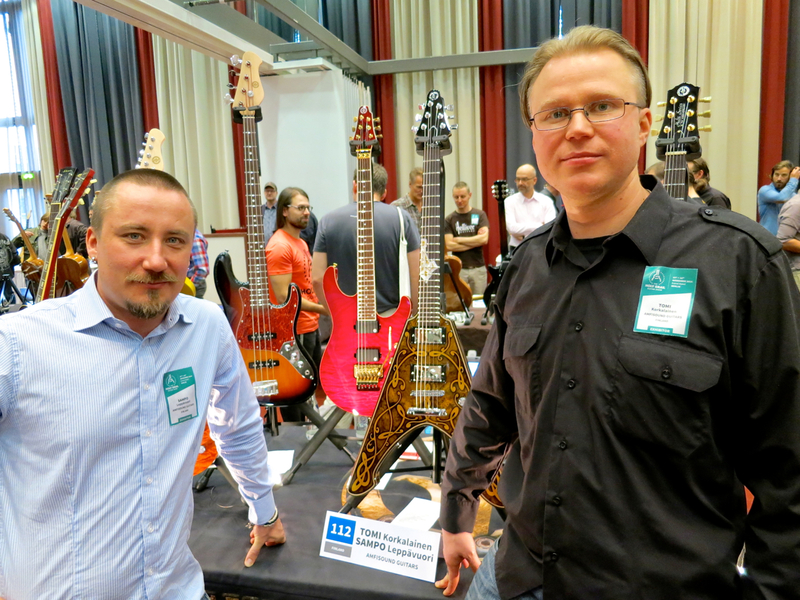 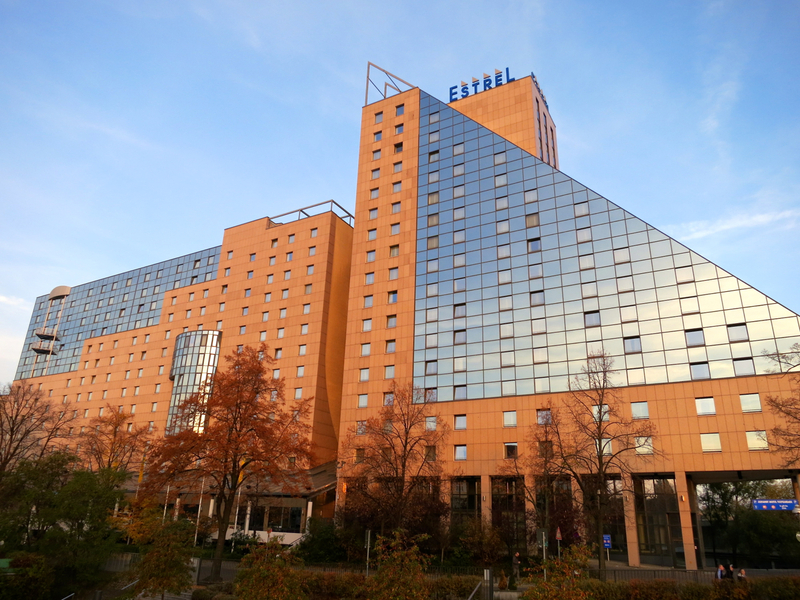 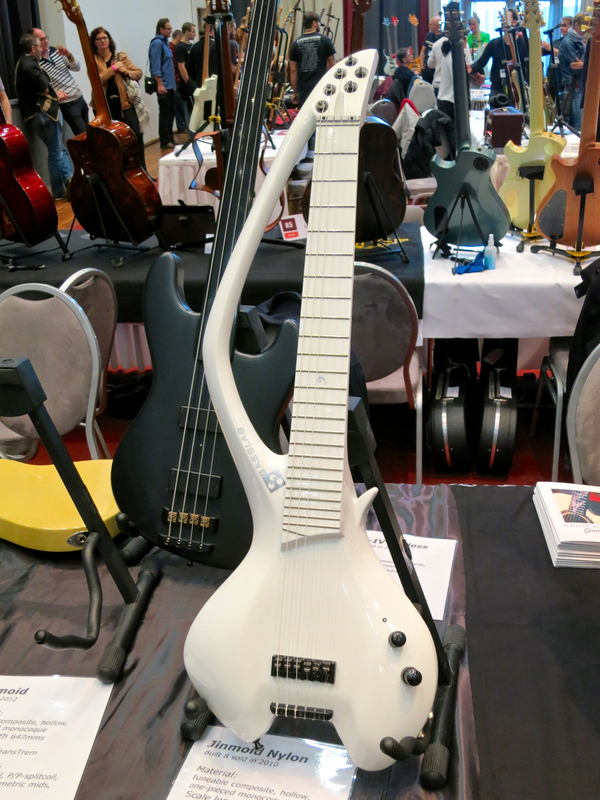 Finlandia Instruments’ Costellobird (on the right) is based on an old JAK model. 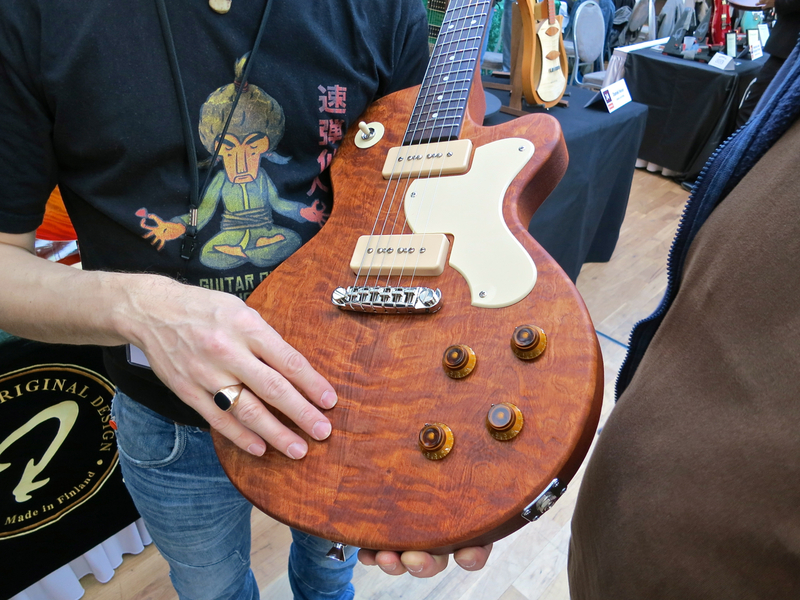 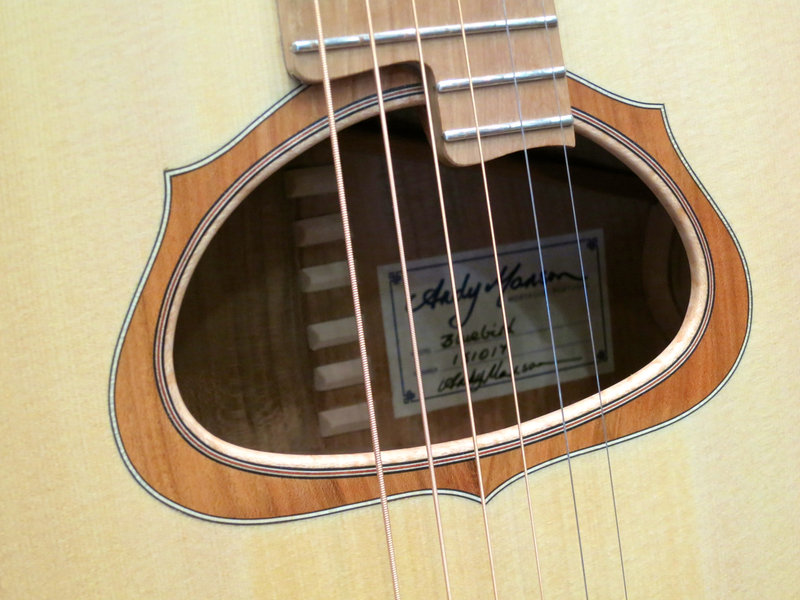 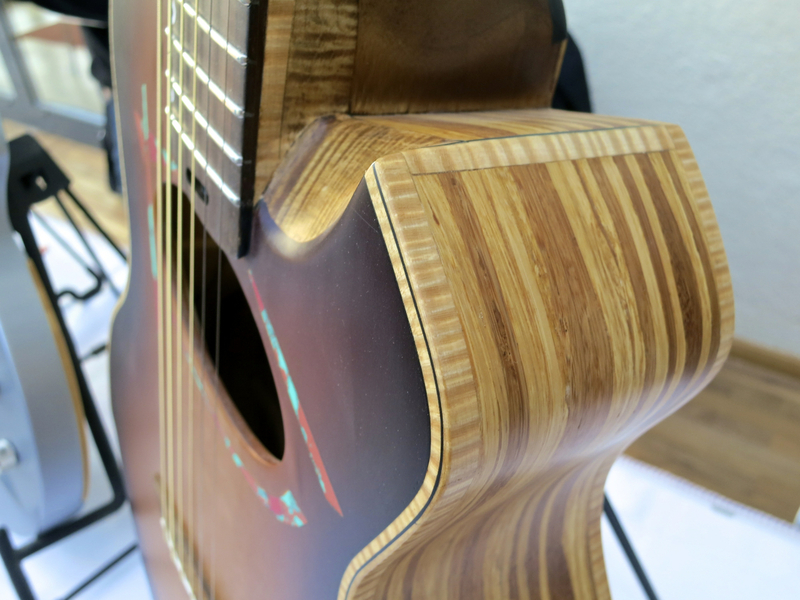 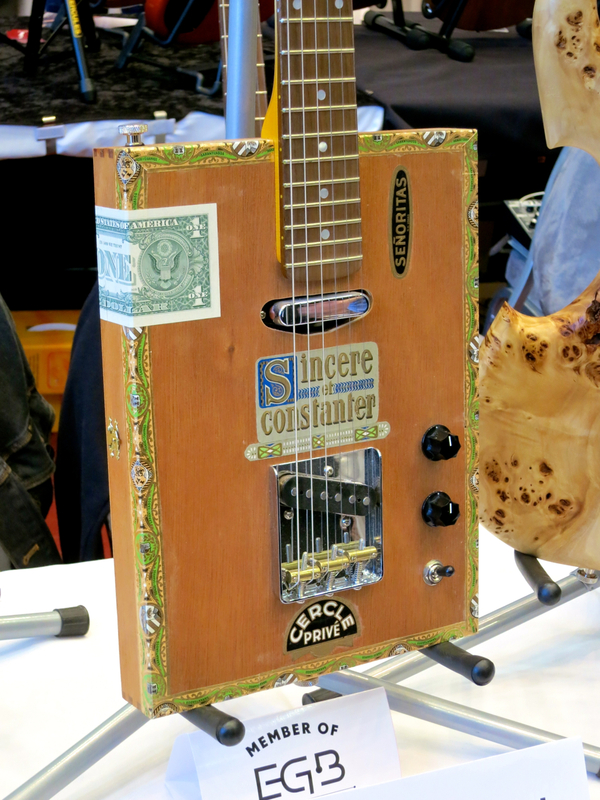 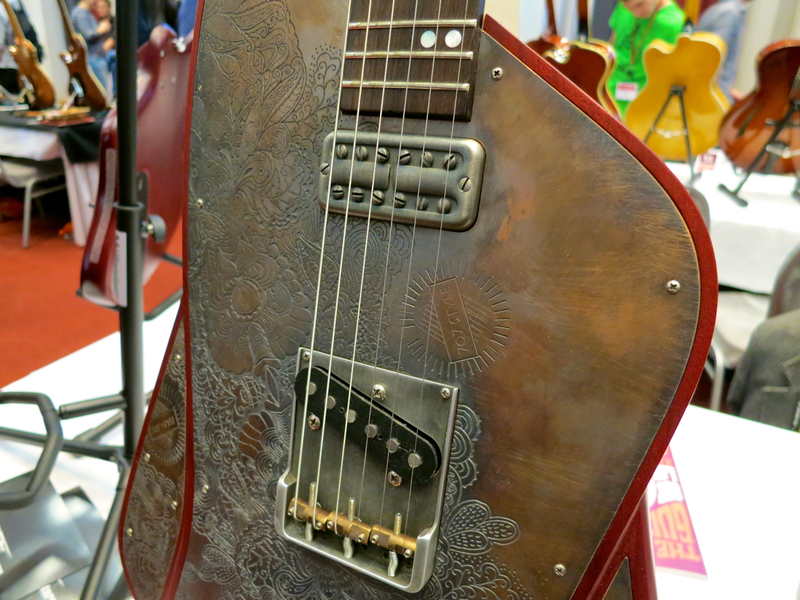 A real eye-catcher from Halla Custom Instruments – a guitar with a body made from very rustic alder. 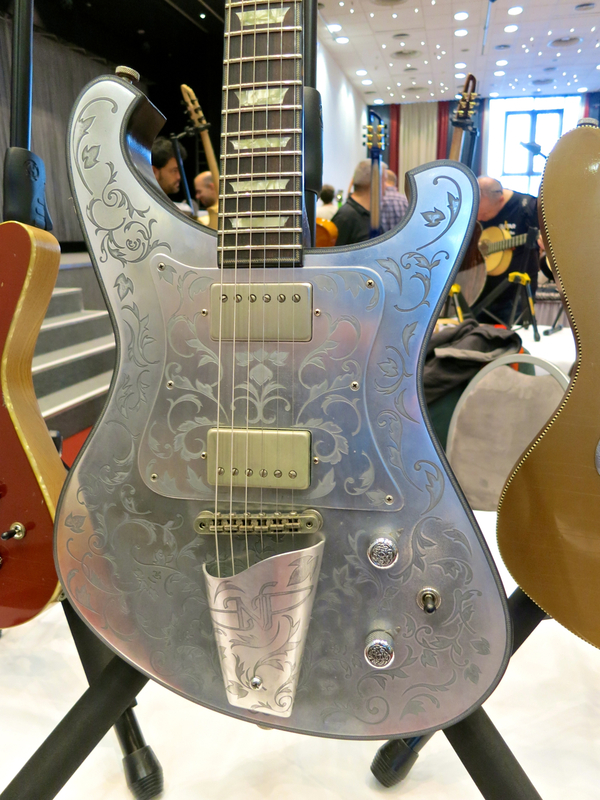 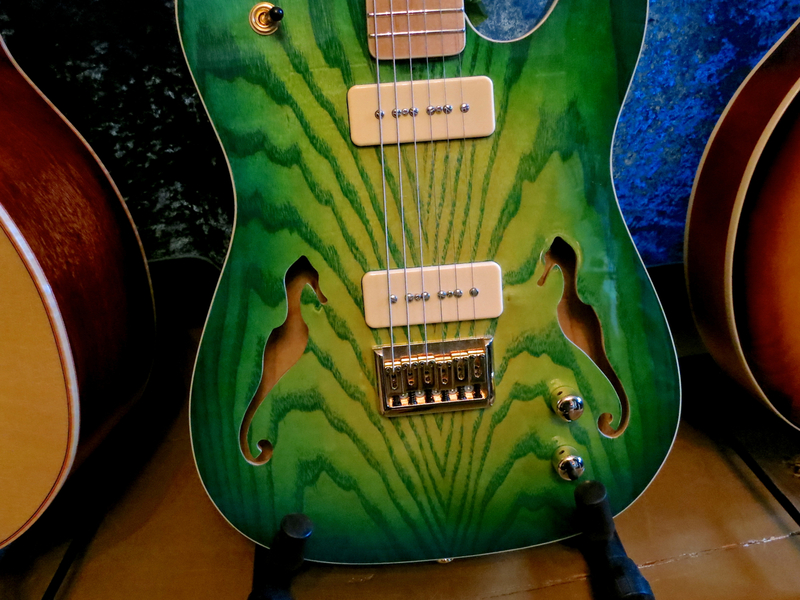 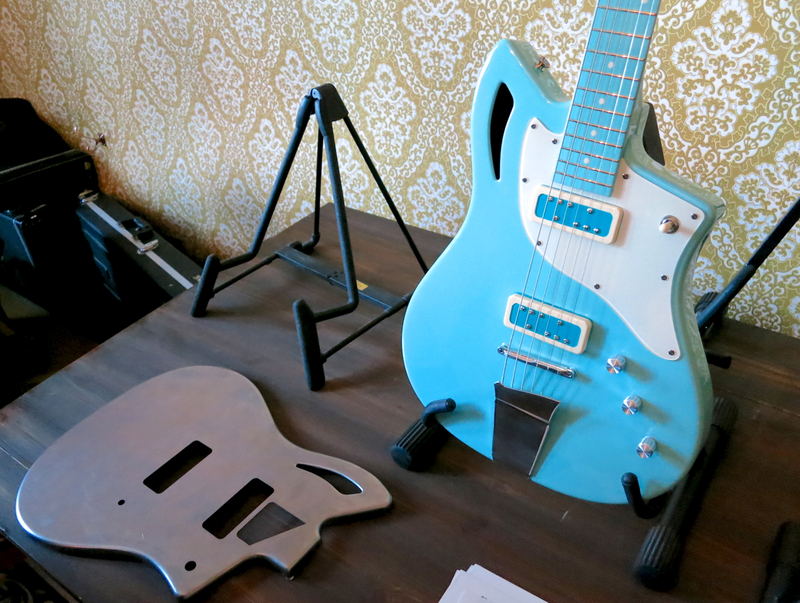 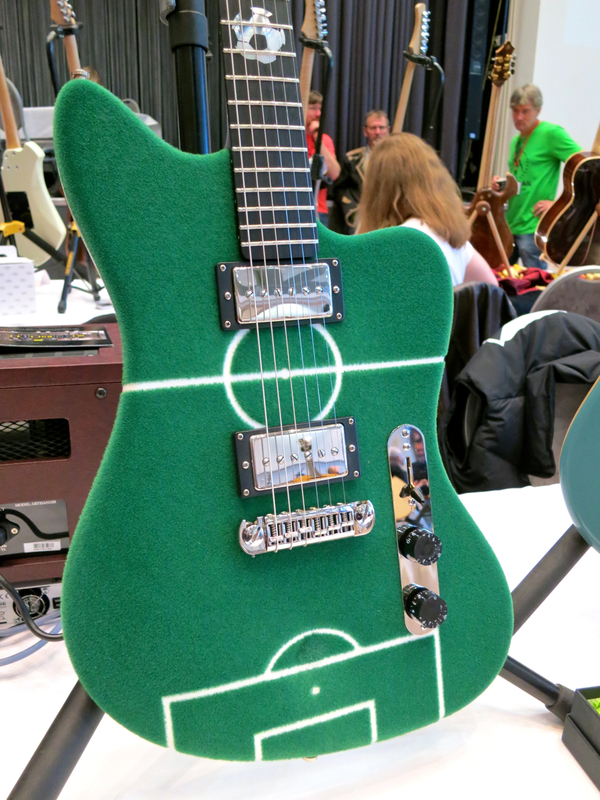 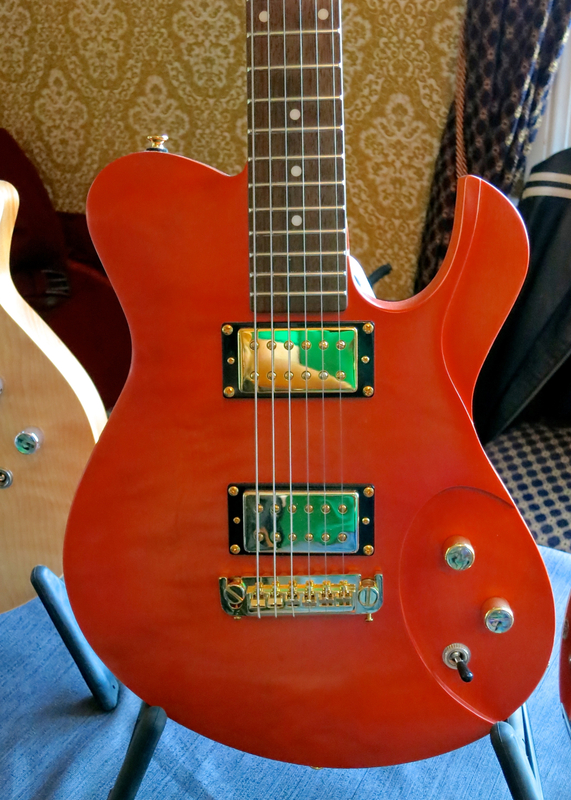 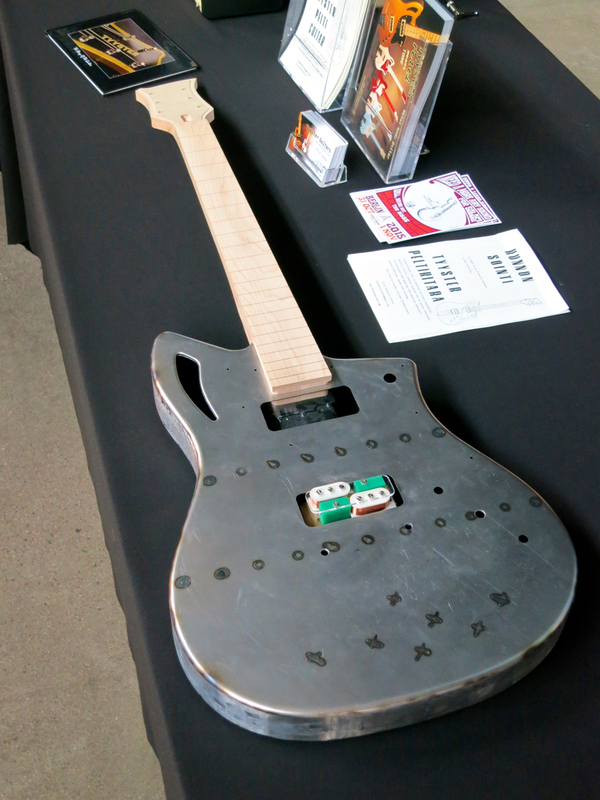 A futuristic-looking HOS Guitars model. 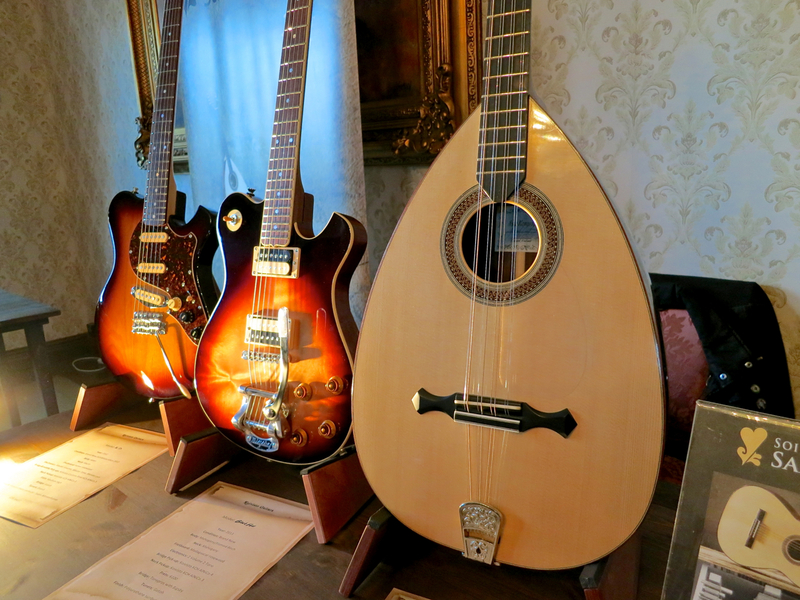 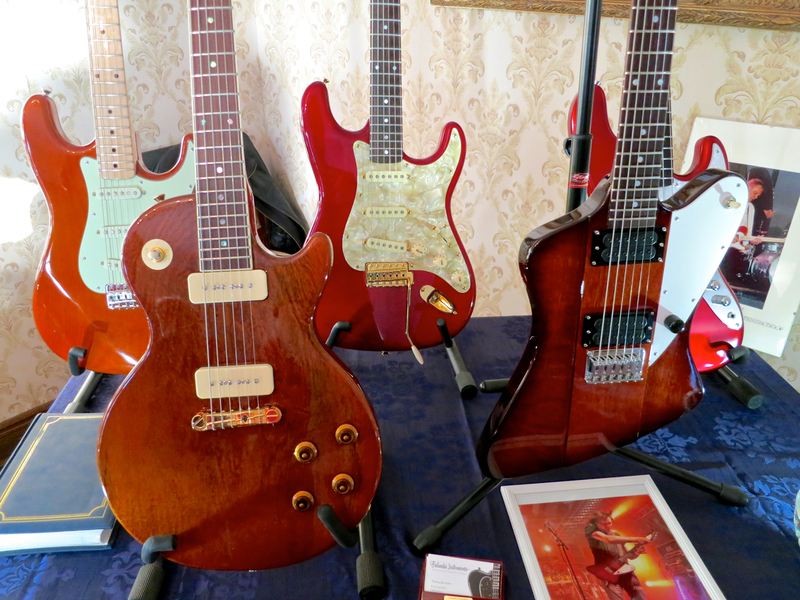 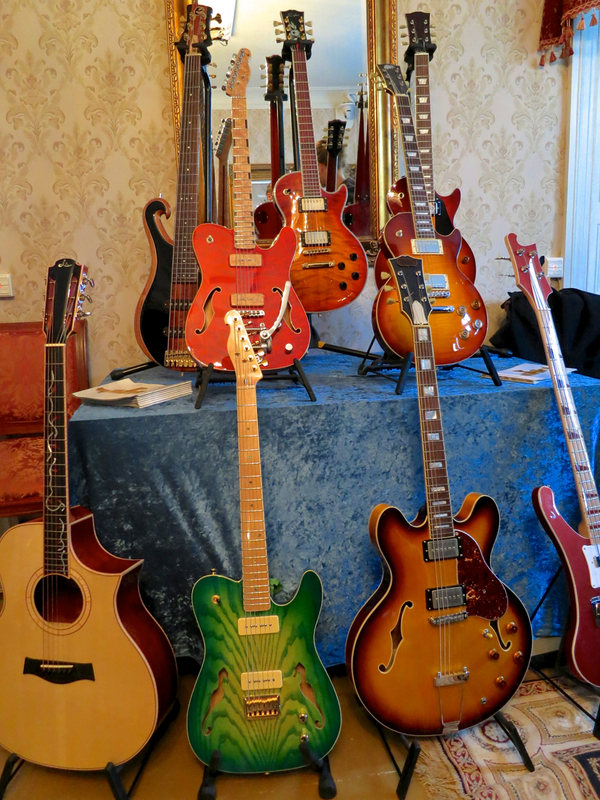 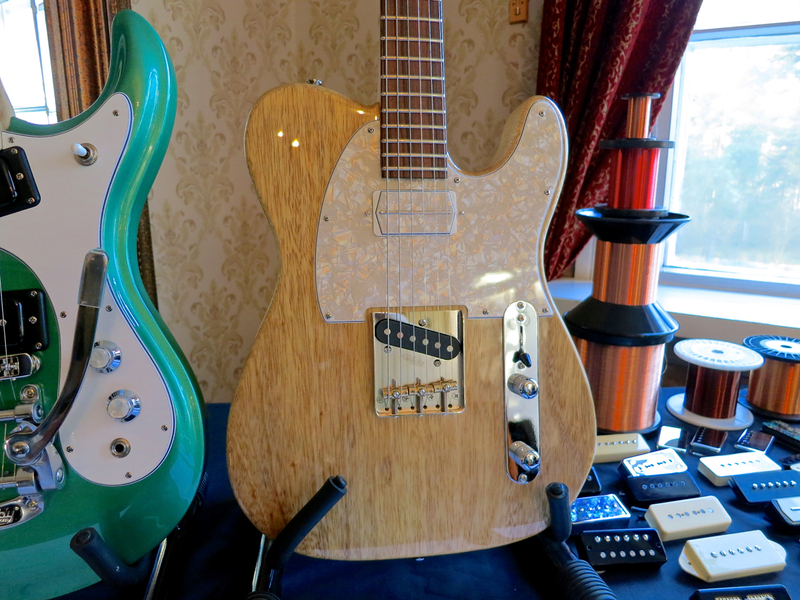 These instruments were made by luthiery students at IKATA. 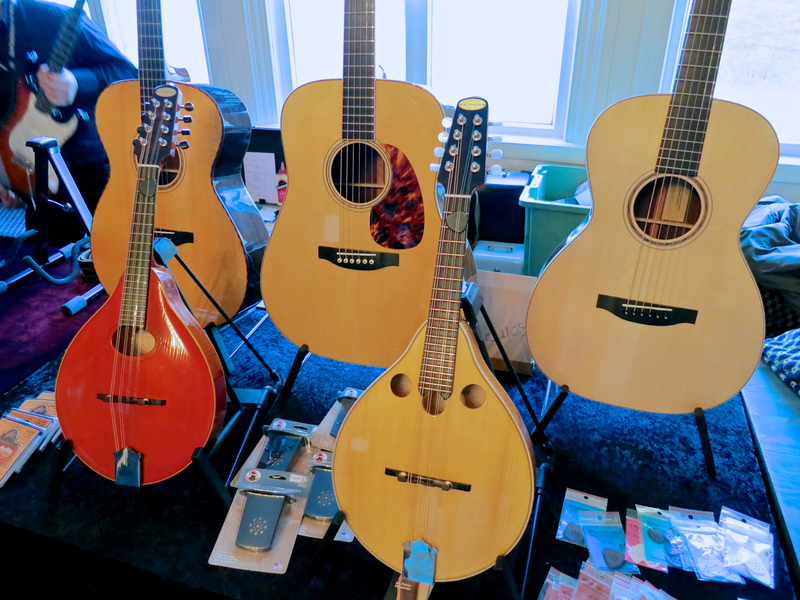 Some of Soitinpaja JaSeSoi’s acoustic models. 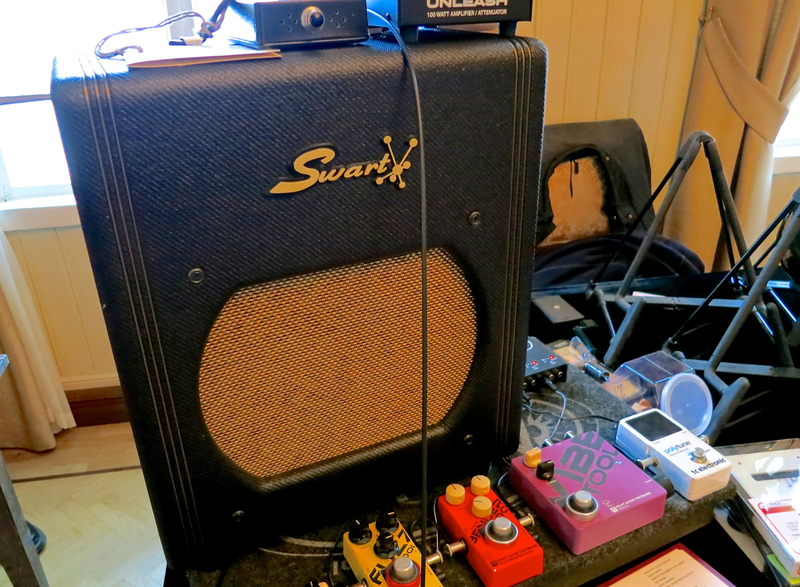 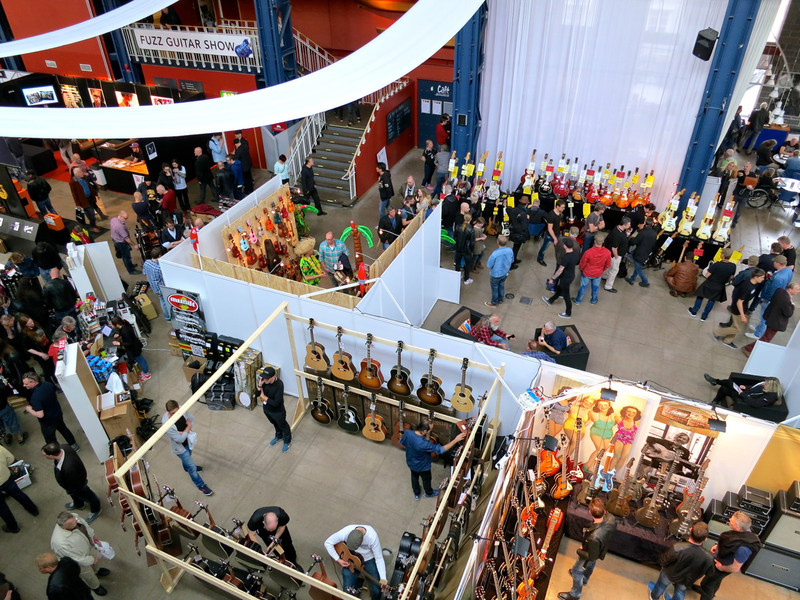 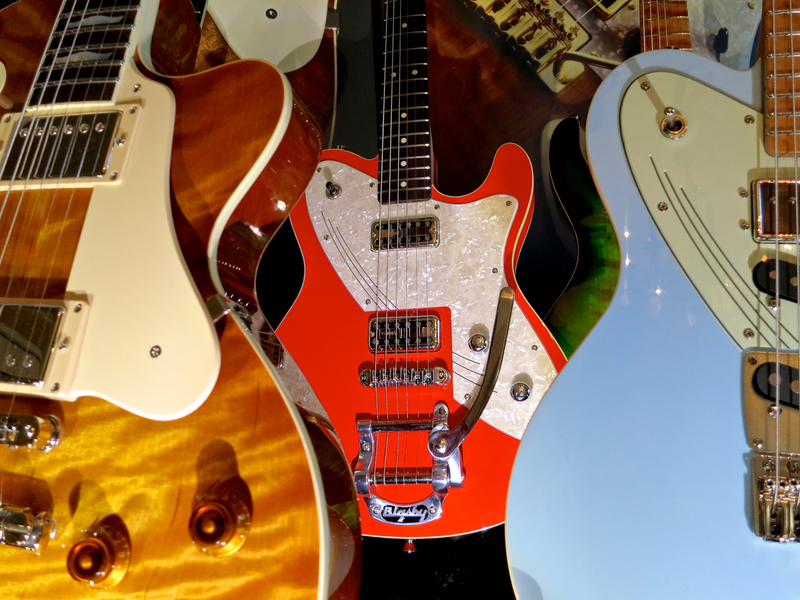 Swart amps and Fano guitars are among the brands displayed by Kitarapaja. 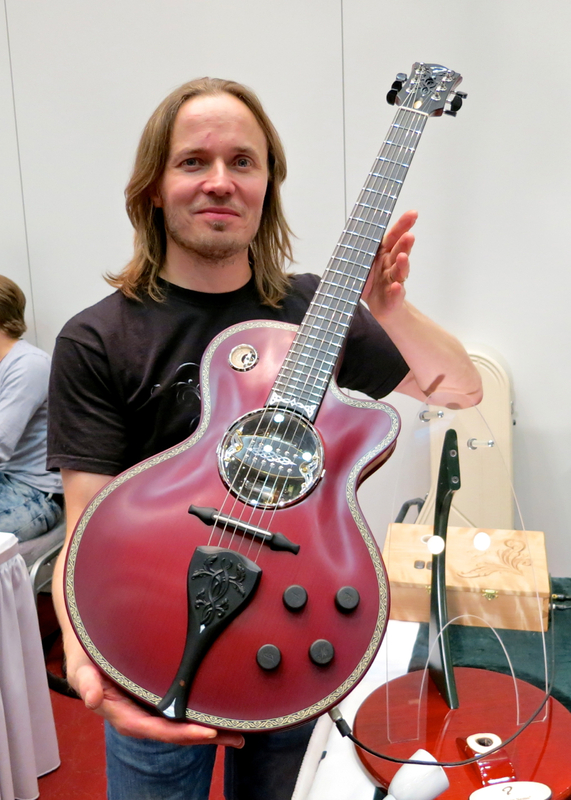 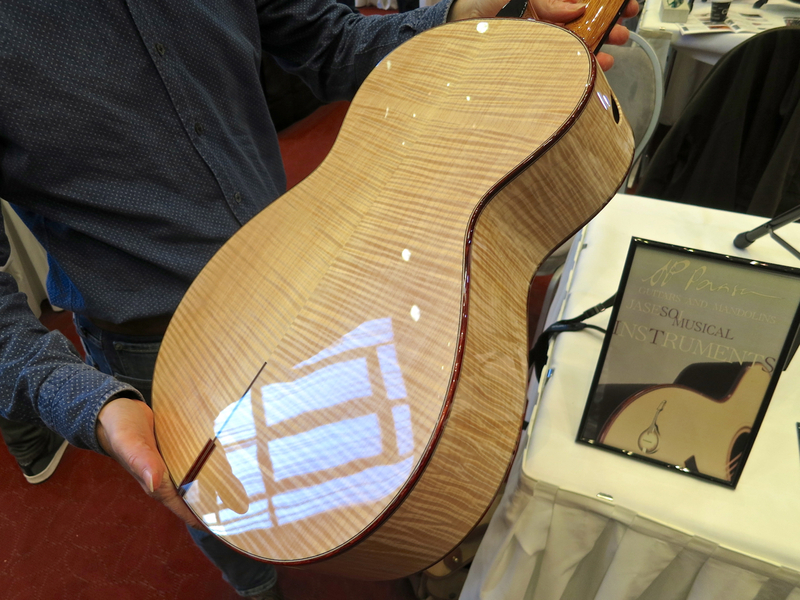 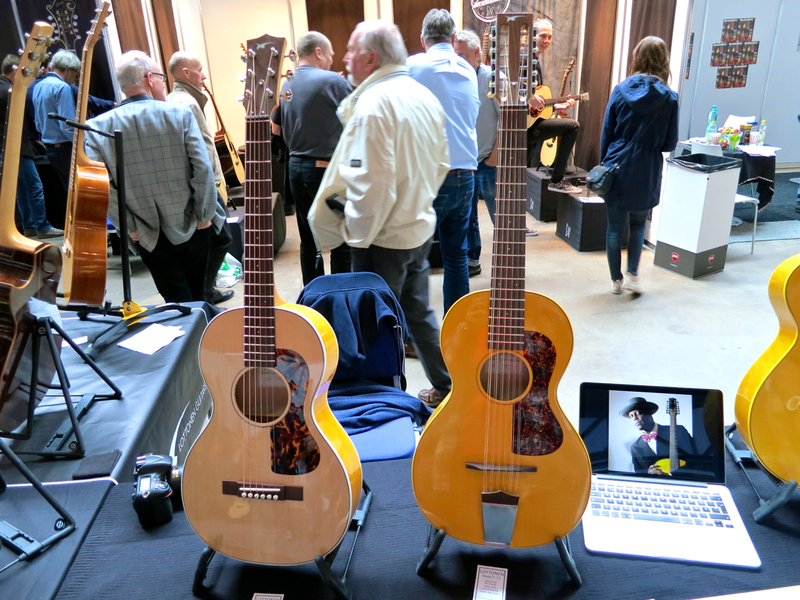 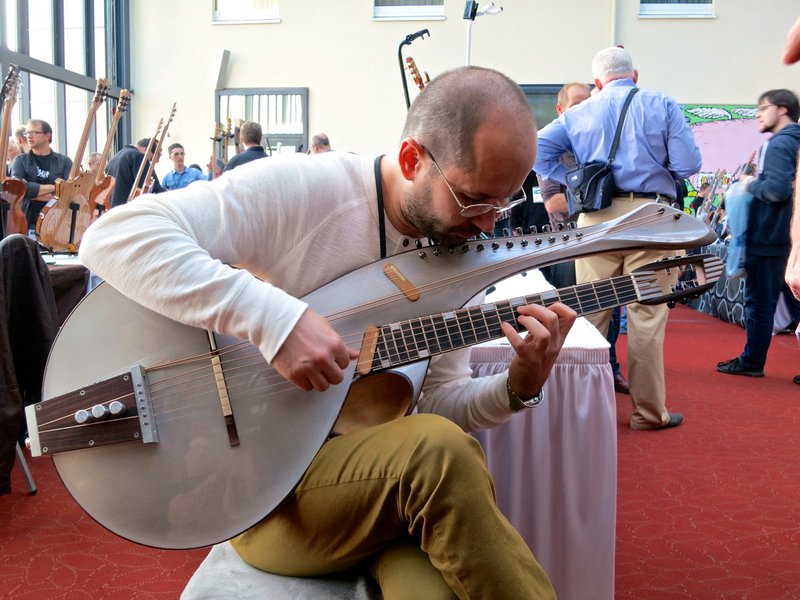 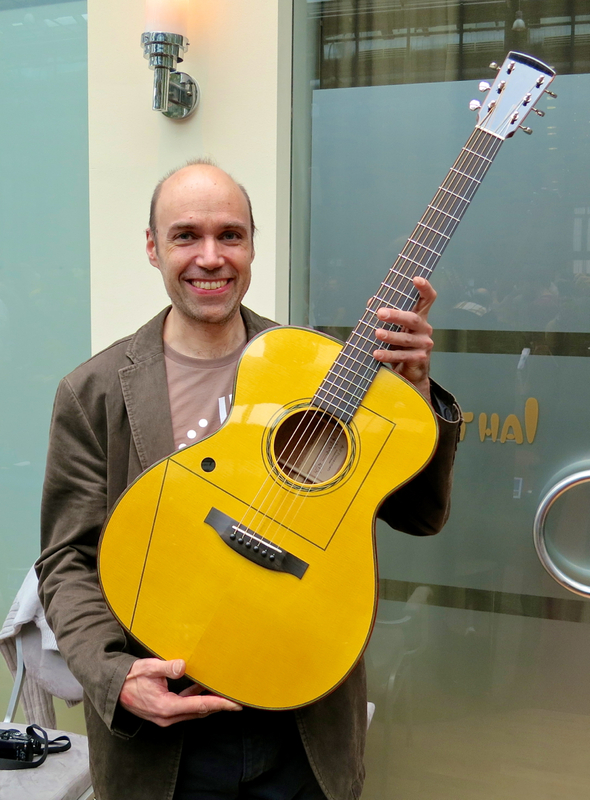 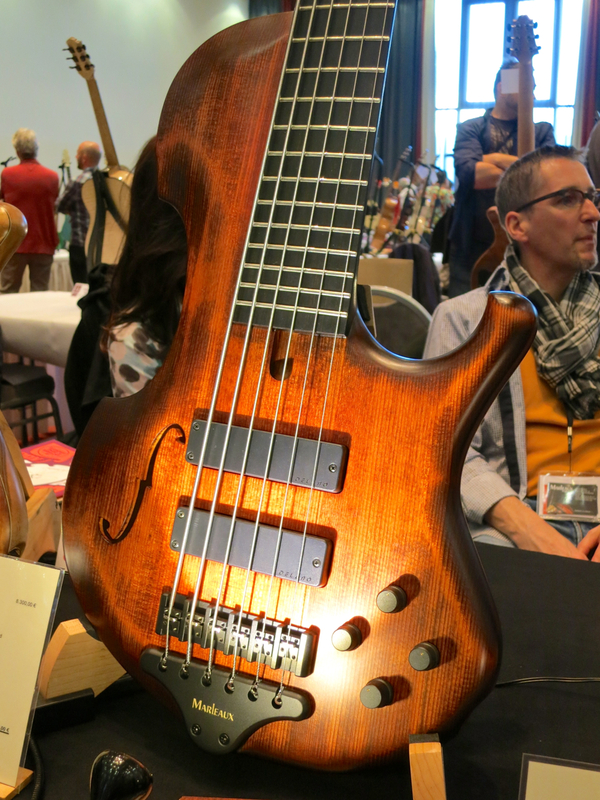 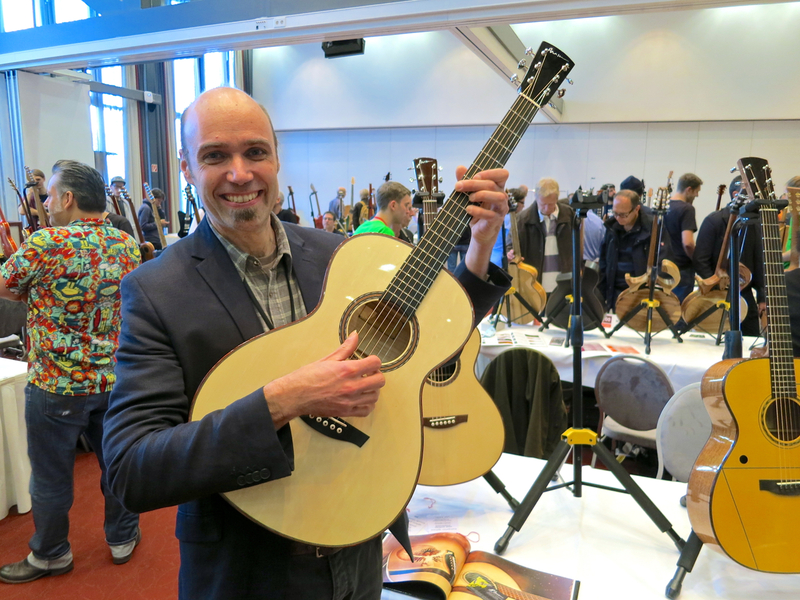 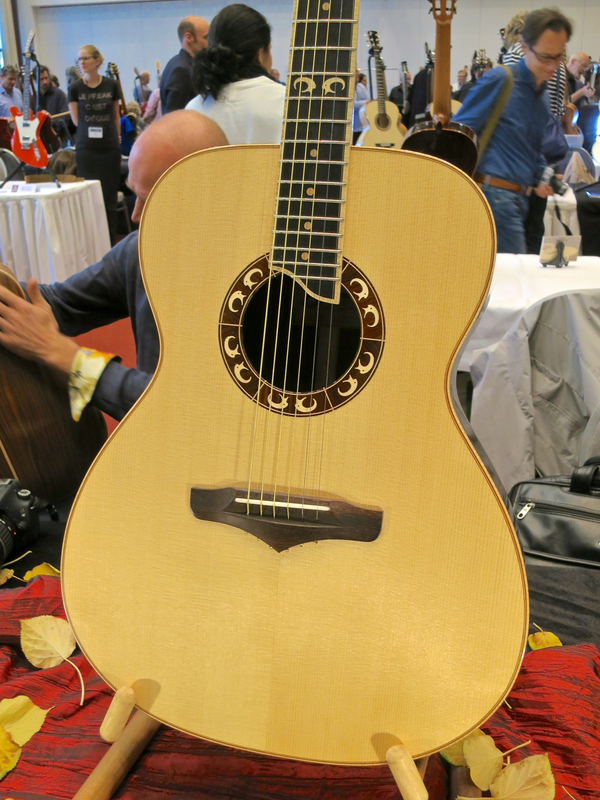 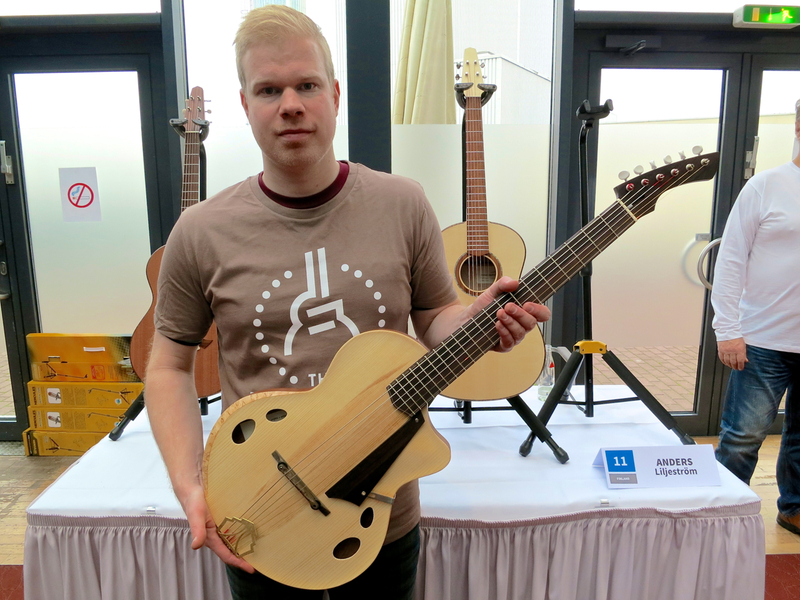 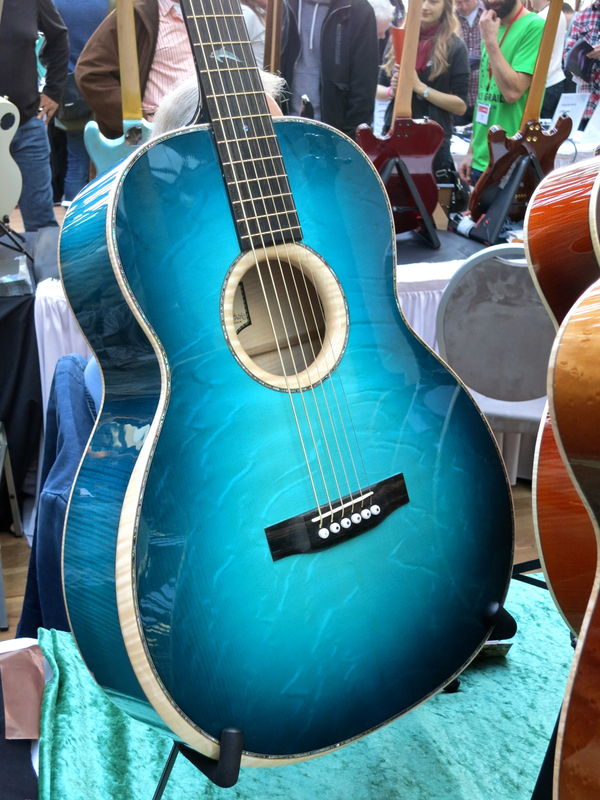 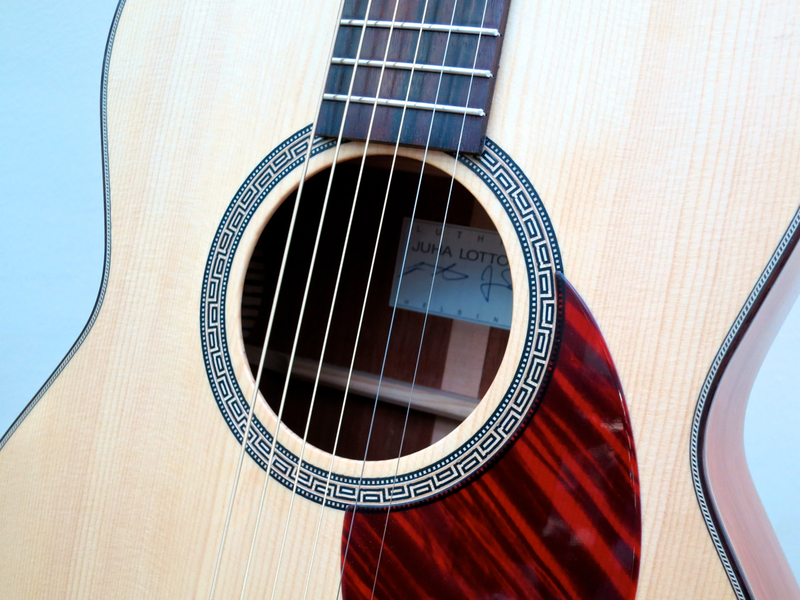 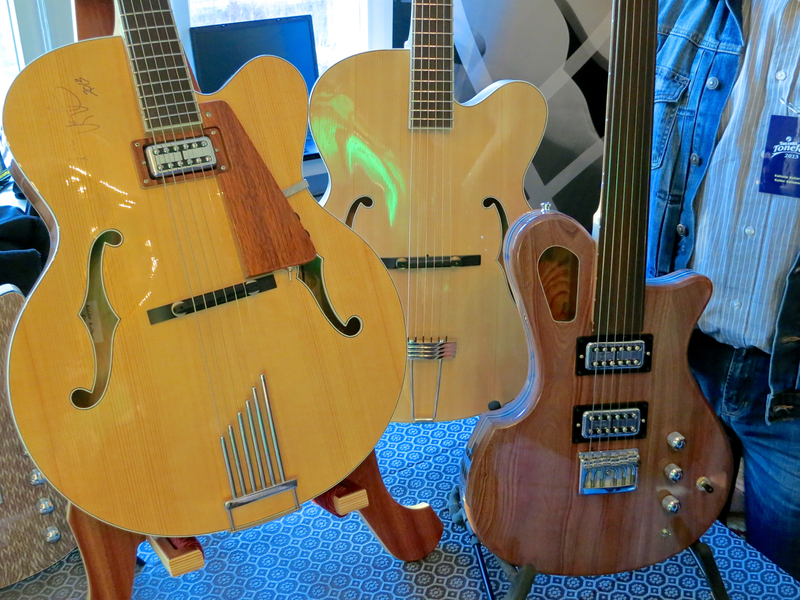 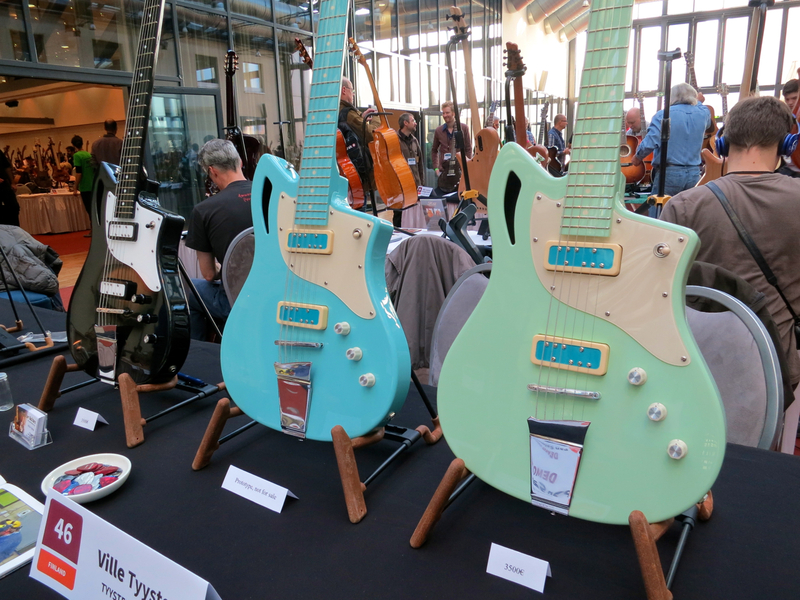 Koivisto Guitars with two electric models and an interesting lute-type design. 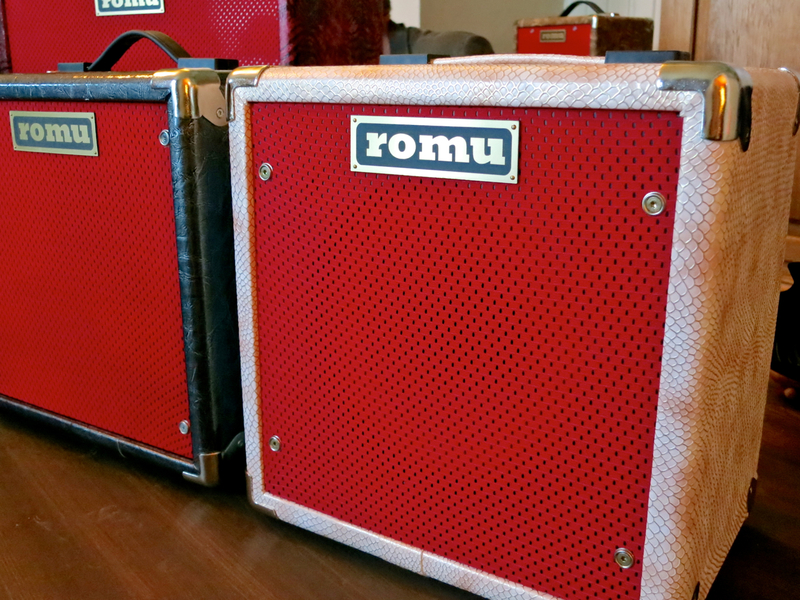 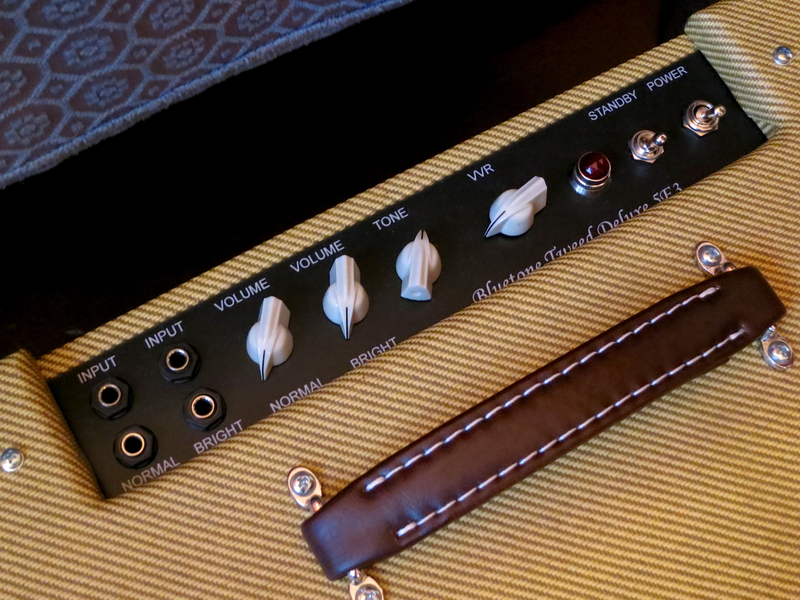 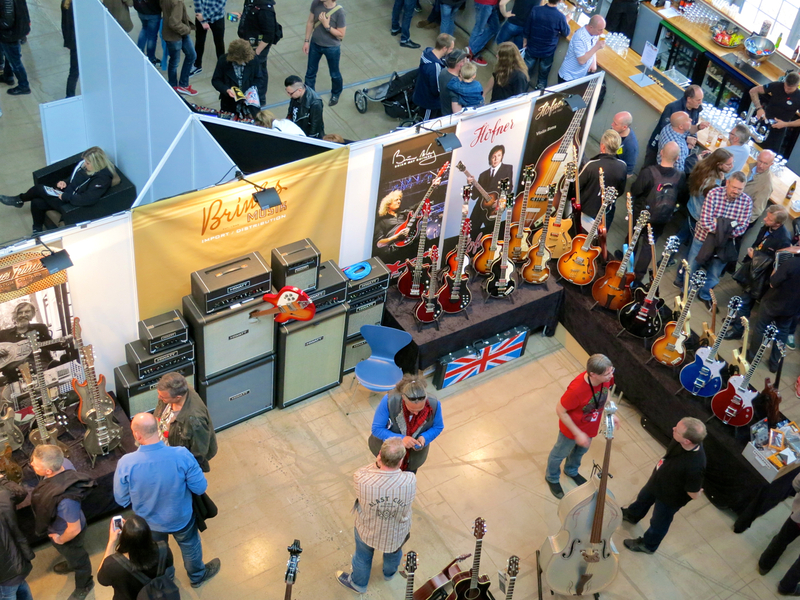 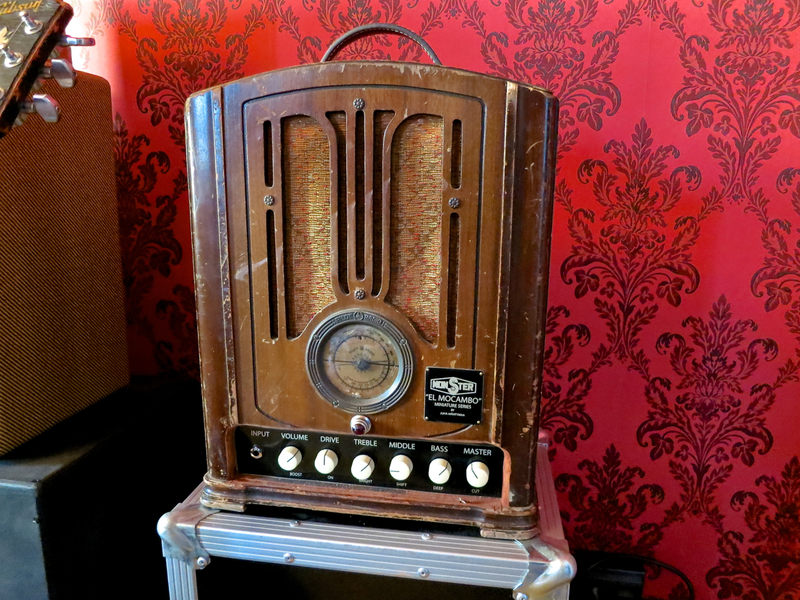 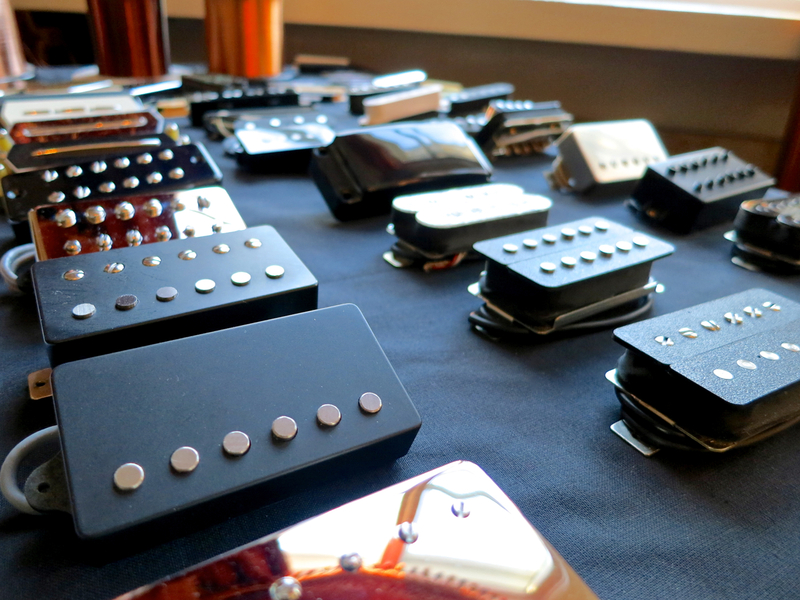 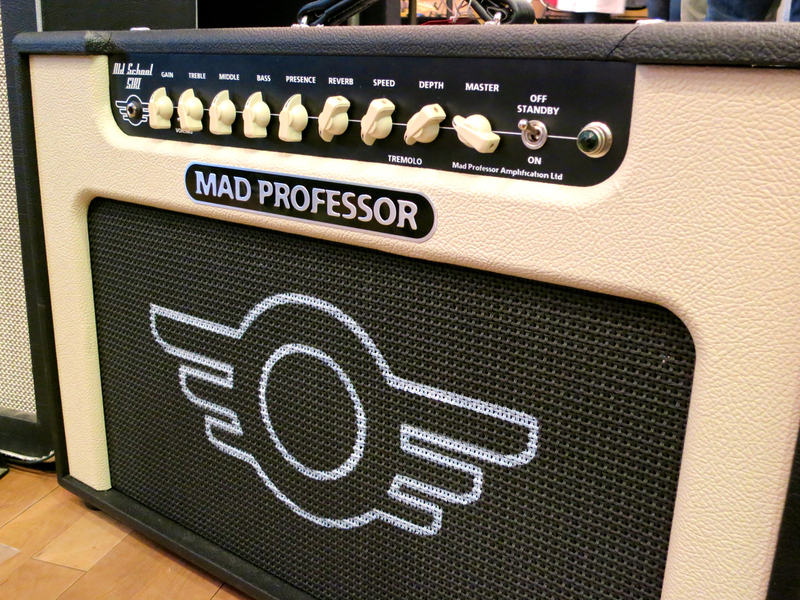 Monster Custom Amps and Visual Clone Guitars – the cool factor is built-in. 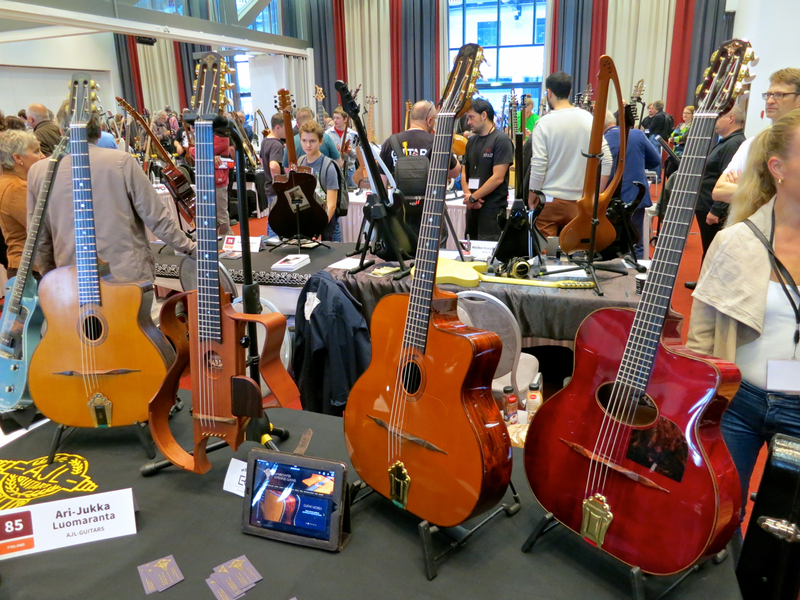 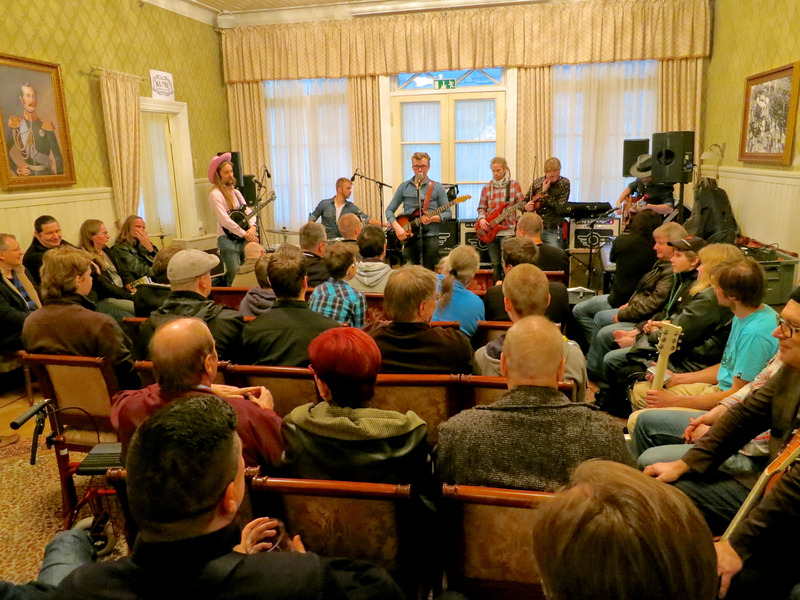 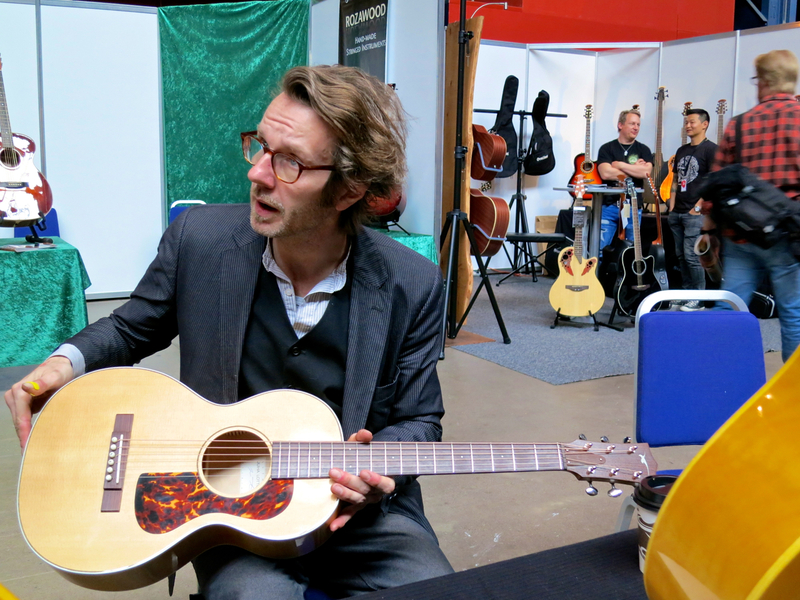 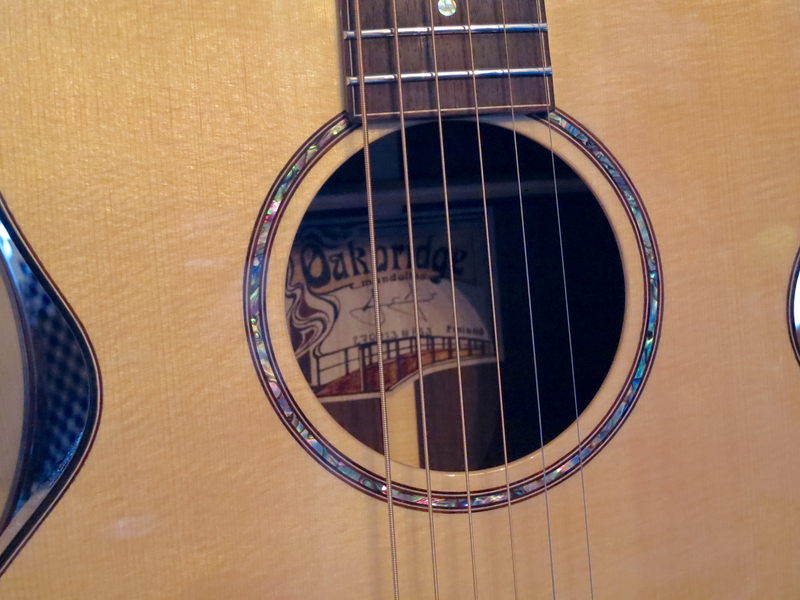 Oakbridge Instruments specialise in acoustic instruments. 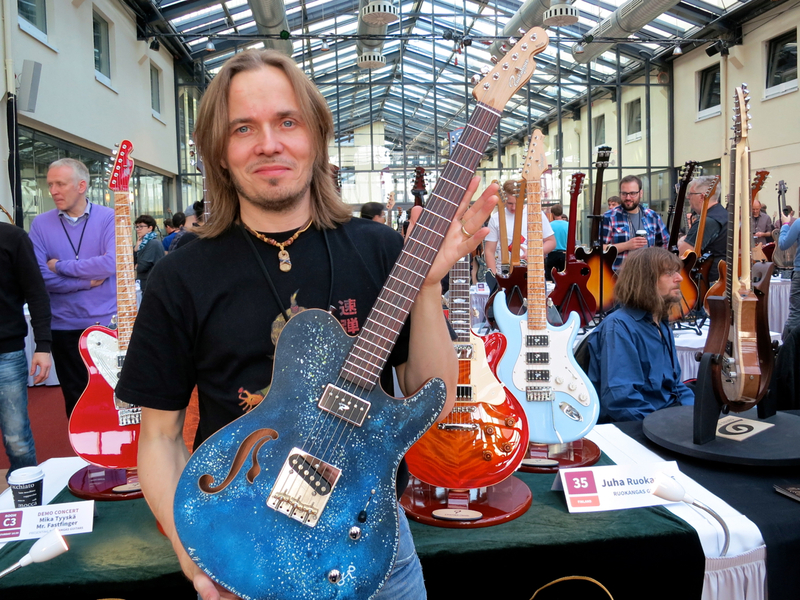 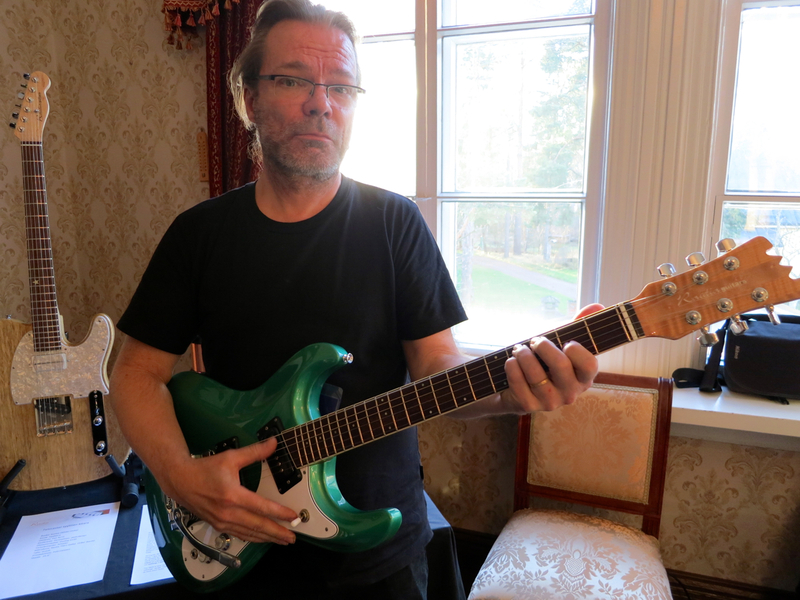 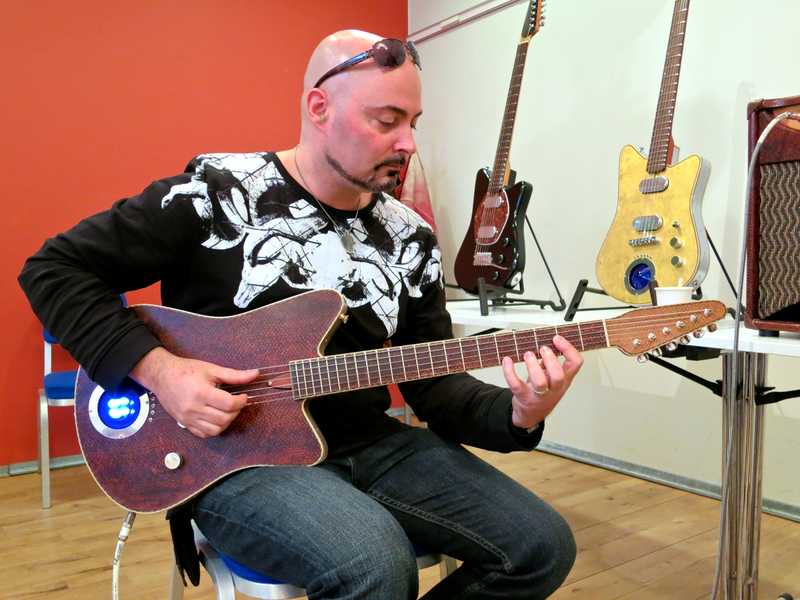 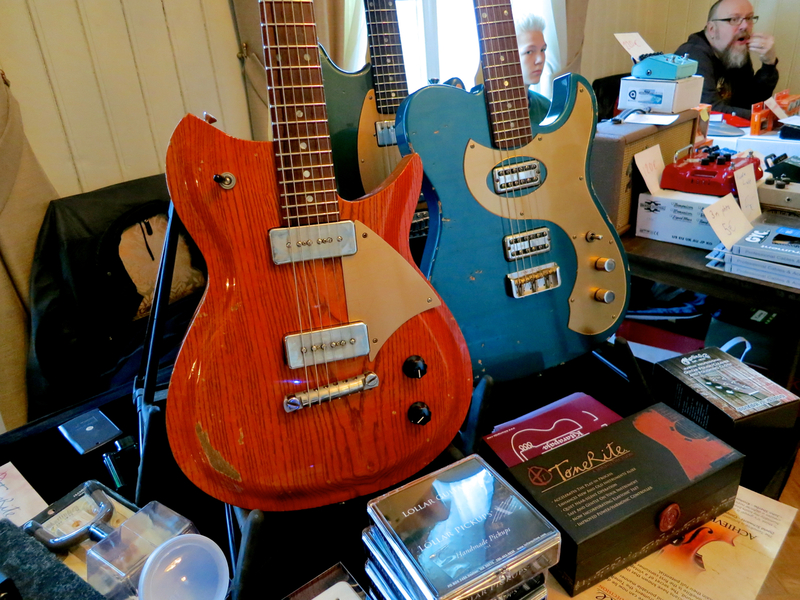 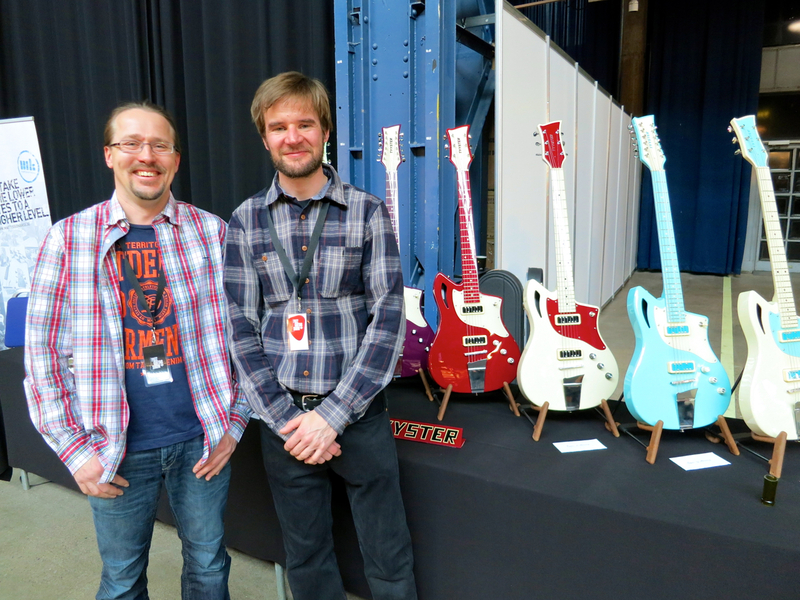 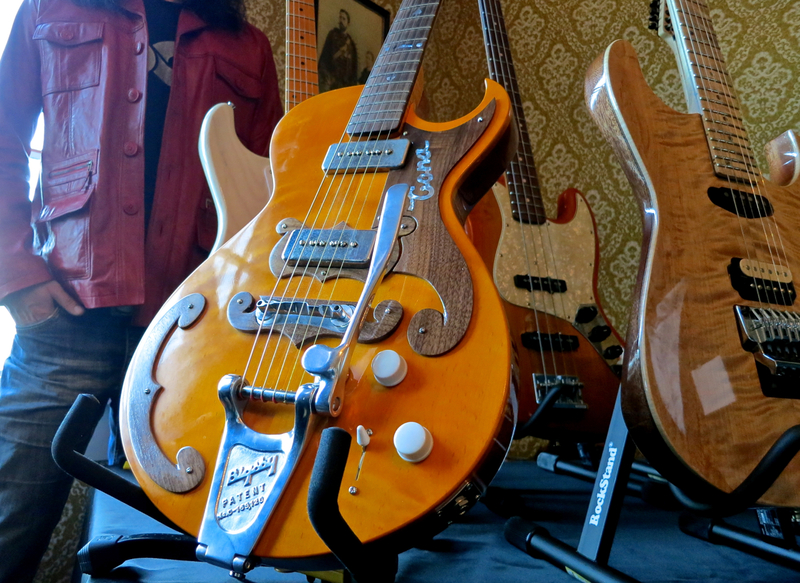 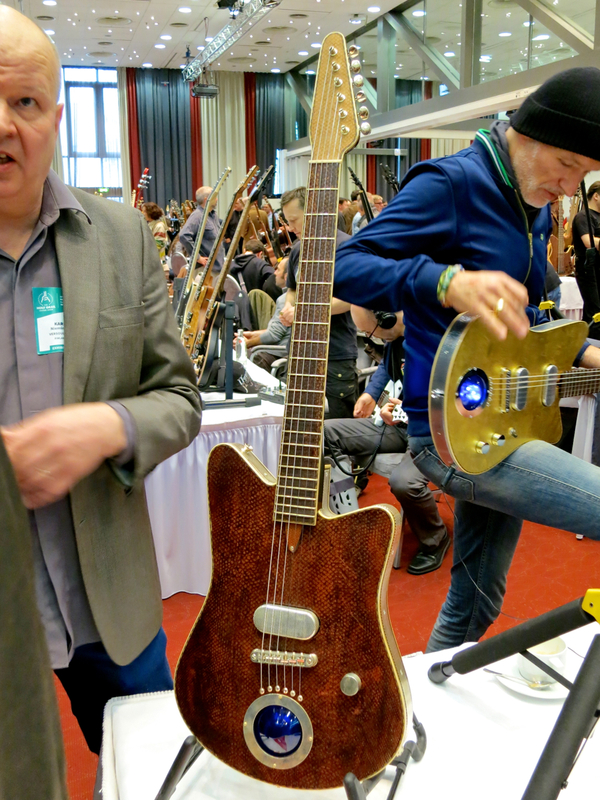 Veijo Rautia gives you lots of electric mojo with his custom guitars and pickups. 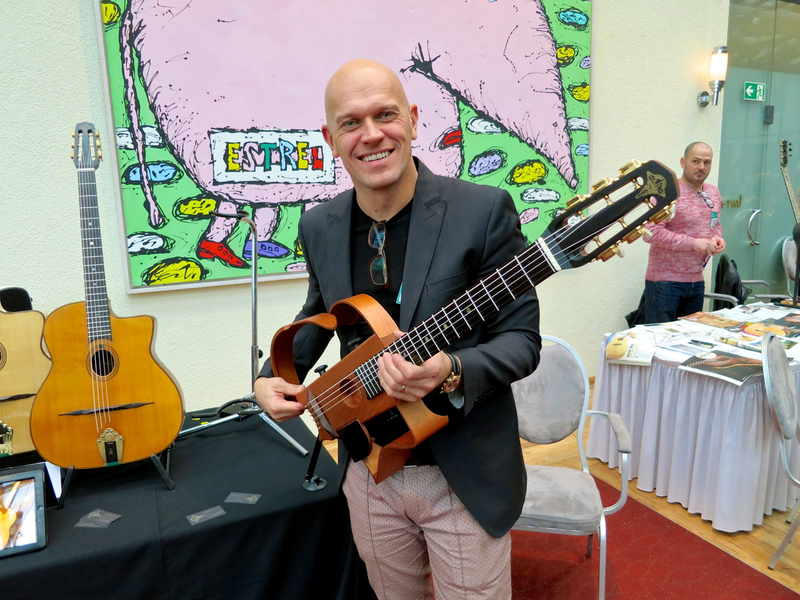 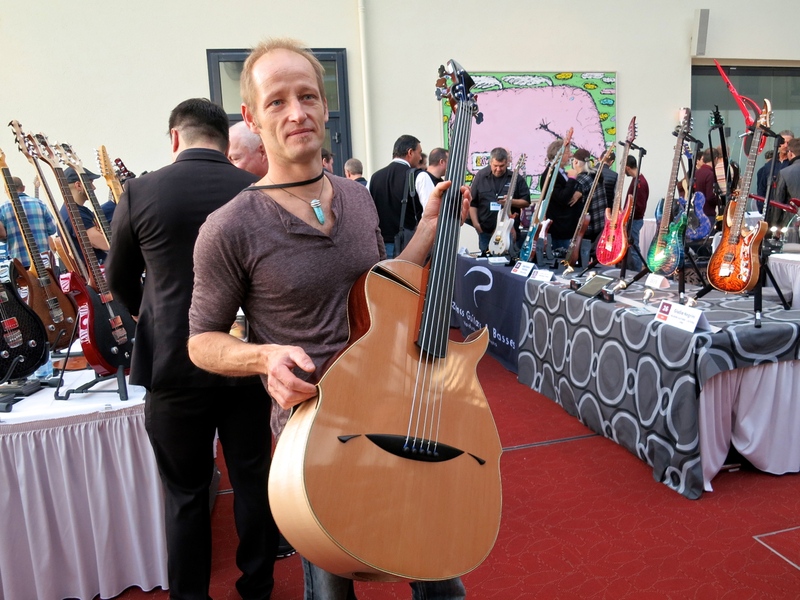 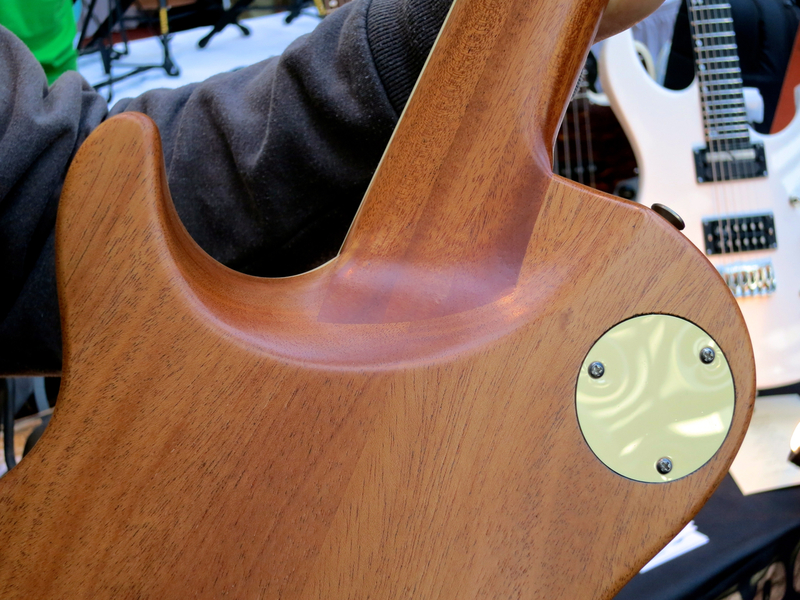 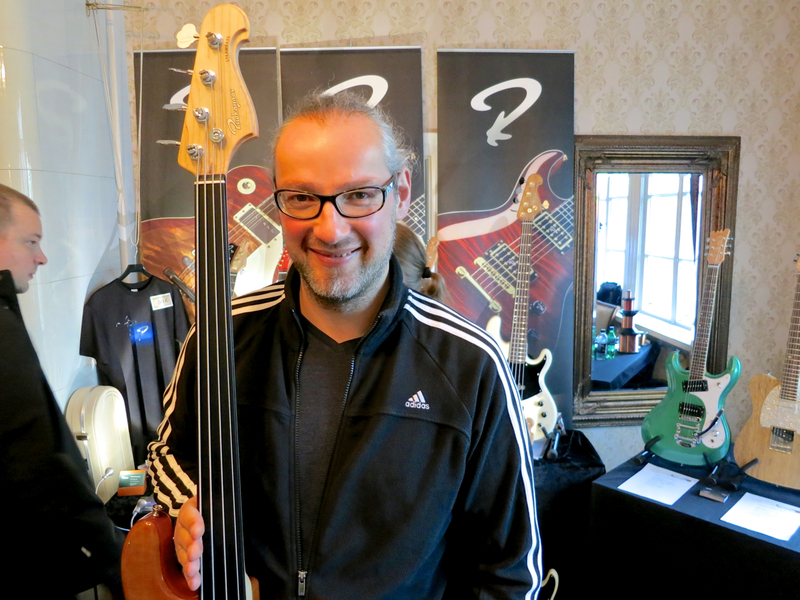 German master bassist Markus Setzer digs the new fretless version of the Ruokangas Steambass. 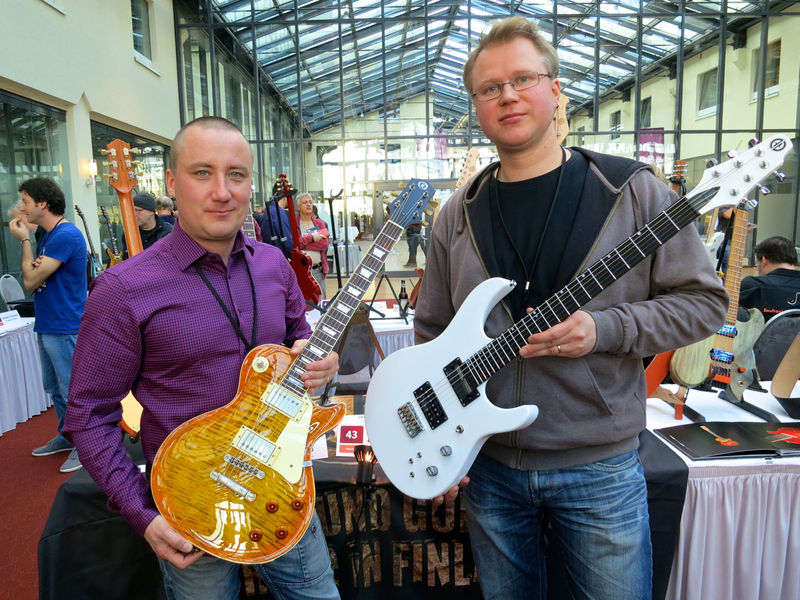 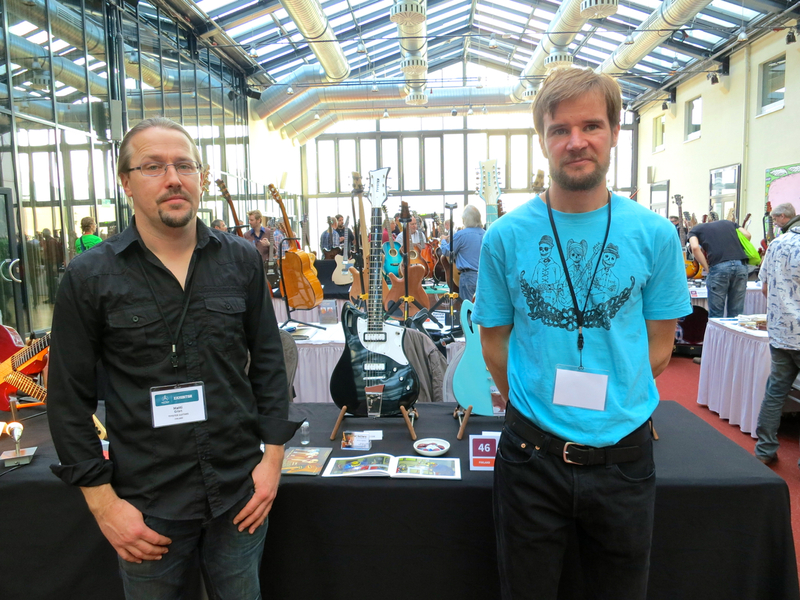 Antti Paranko and Markus Setzer in action with their Ruokangas instruments. 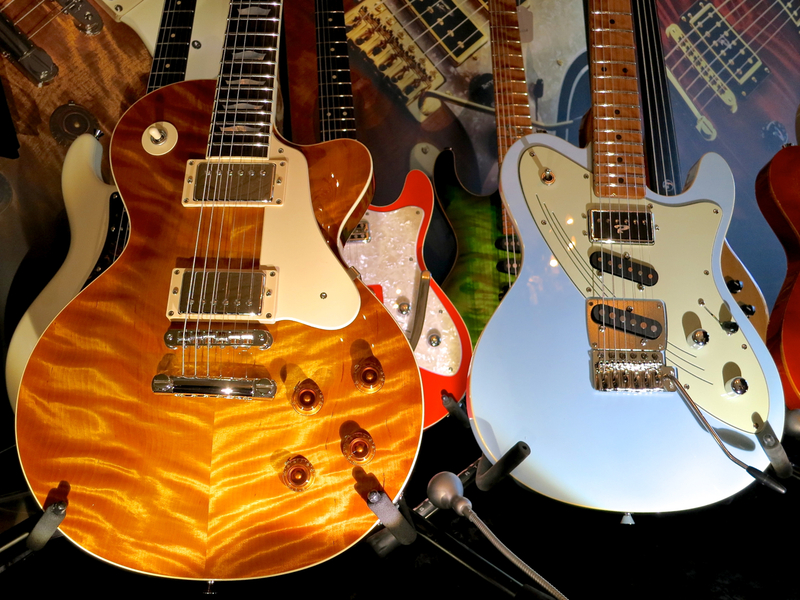 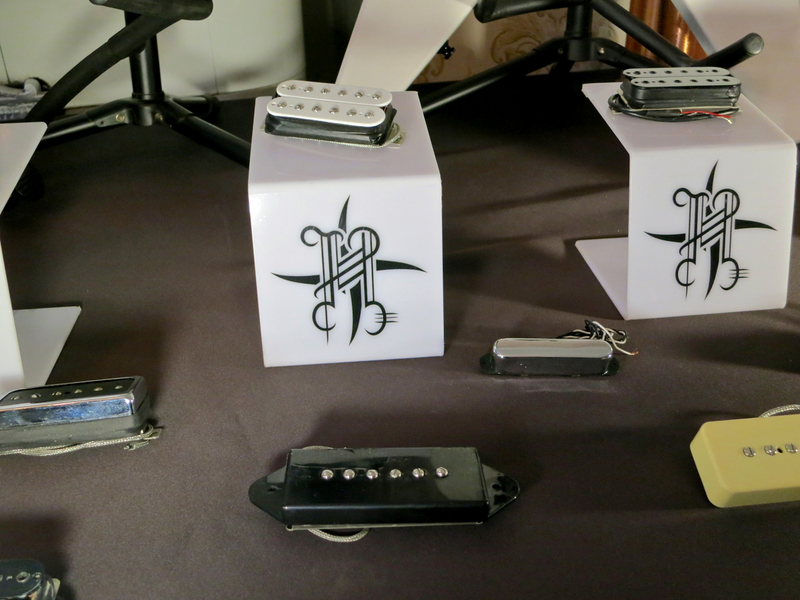 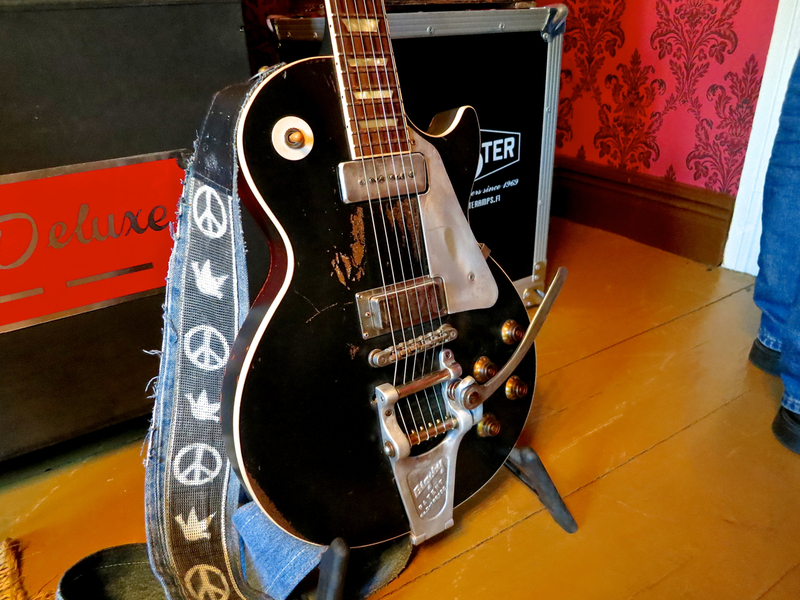 Tyyster gives you plenty of rootsy tone and cool retro looks from metal topped guitars. 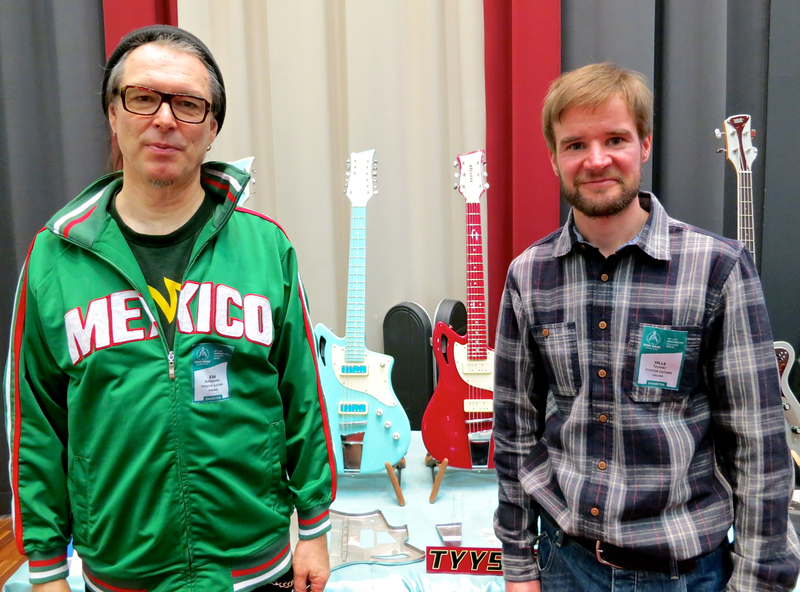 …to Anssi Kela and Tuomas Wäinölä.